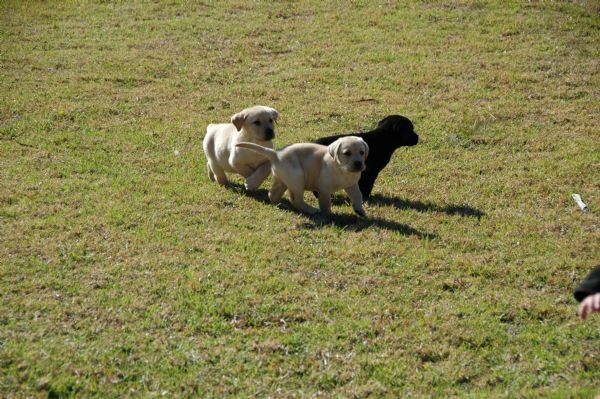 We are very excited to announce that our beautiful girl Lacie (sire:Glen) has whelped another gorgeous litter of Black and yellow puppies. 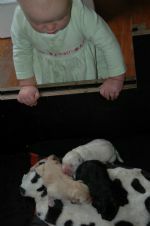 She loves her babies to bits and once again very proud of what she has made!!!!!! 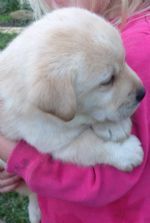 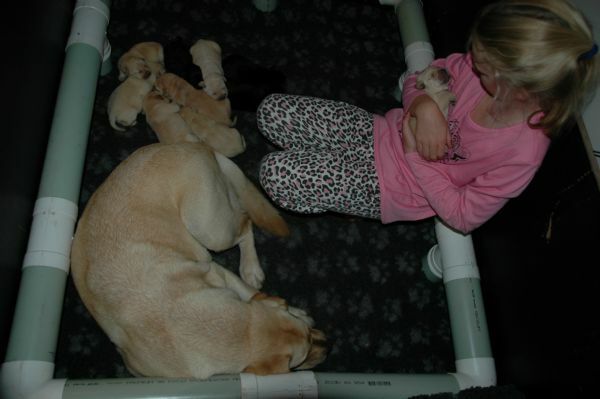 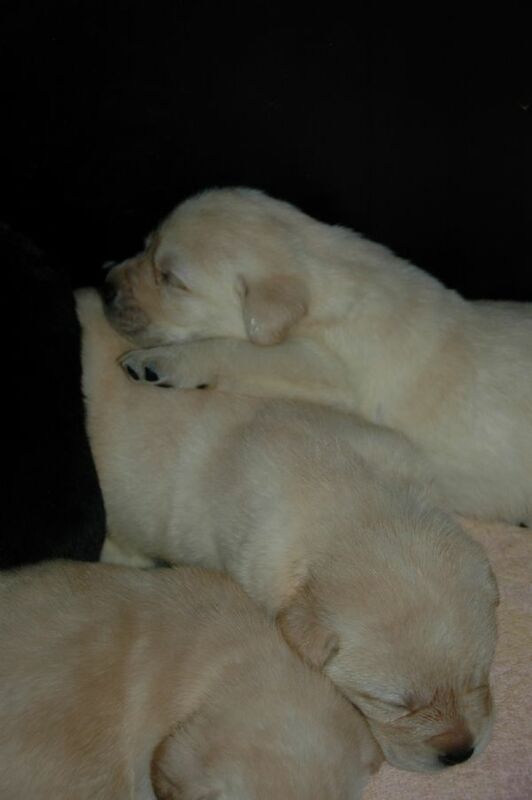 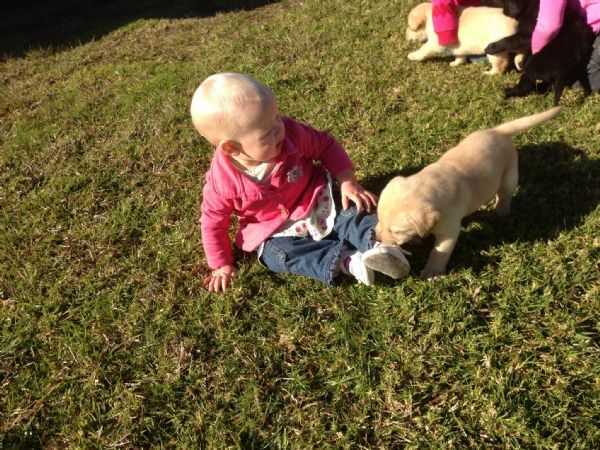 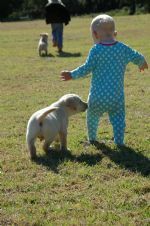 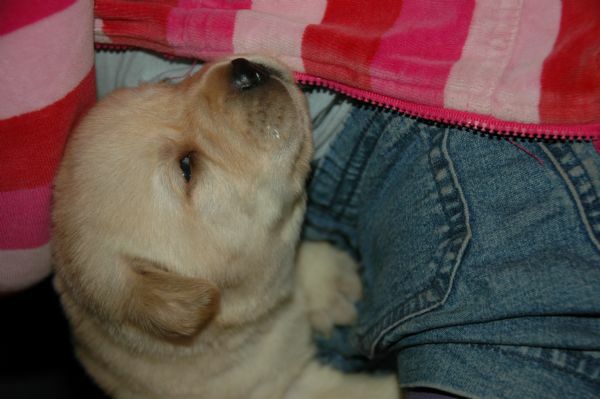 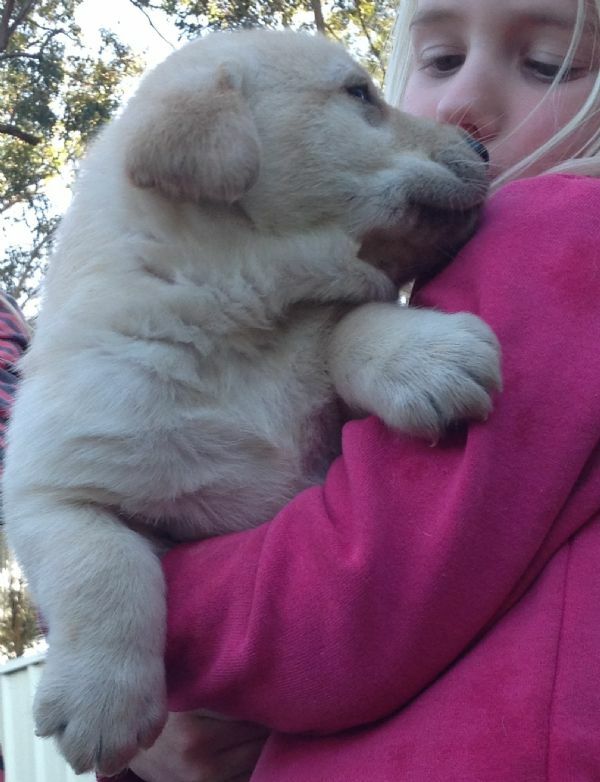 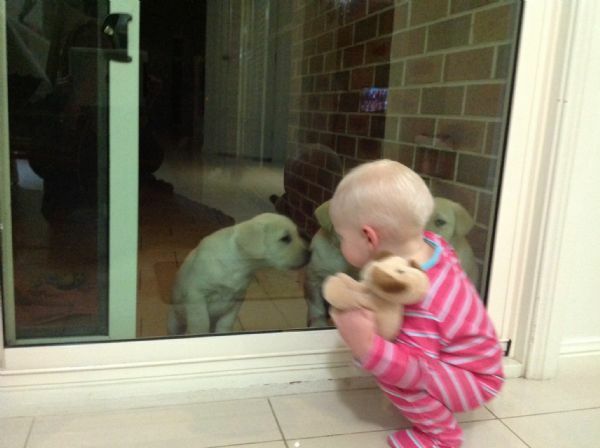 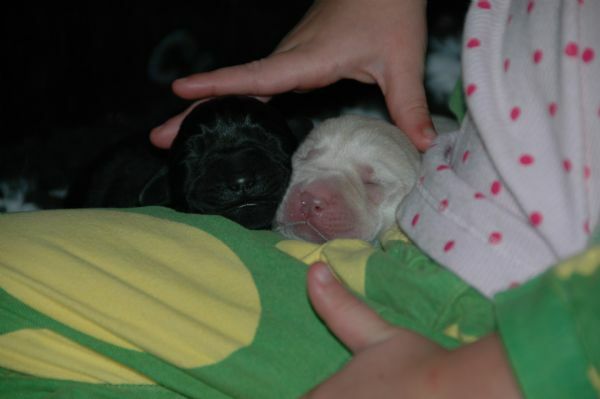 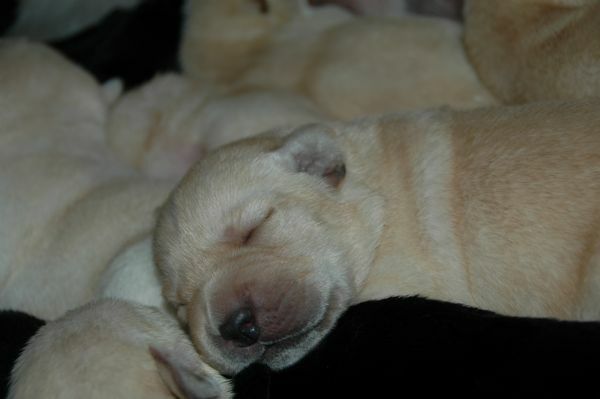 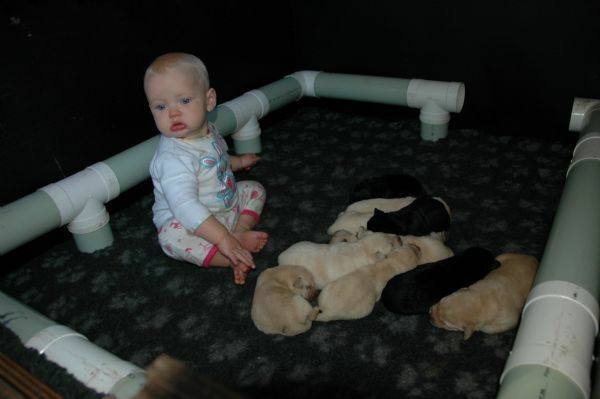 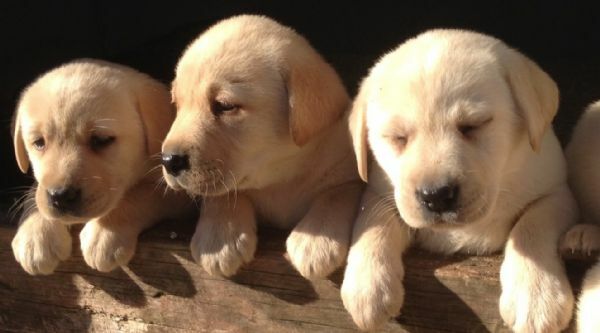 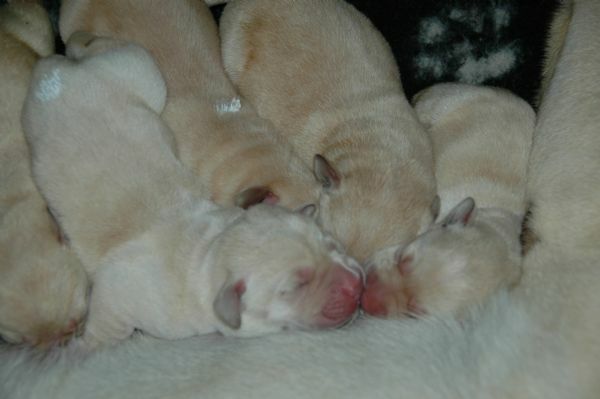 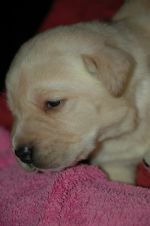 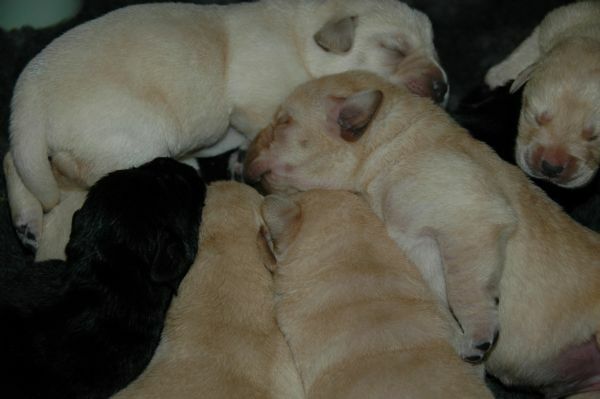 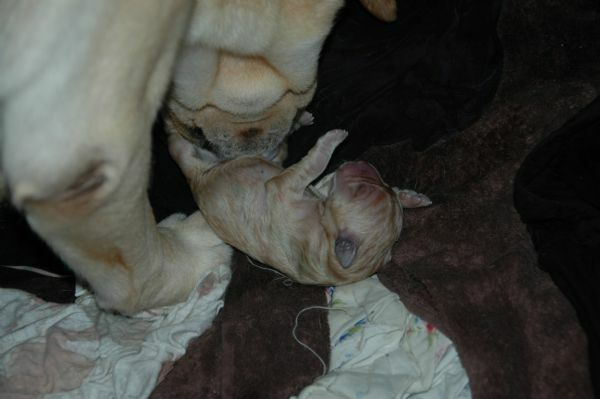 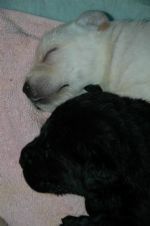 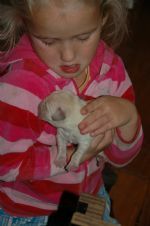 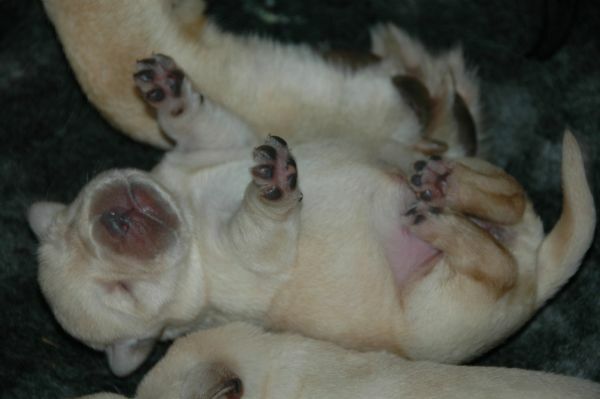 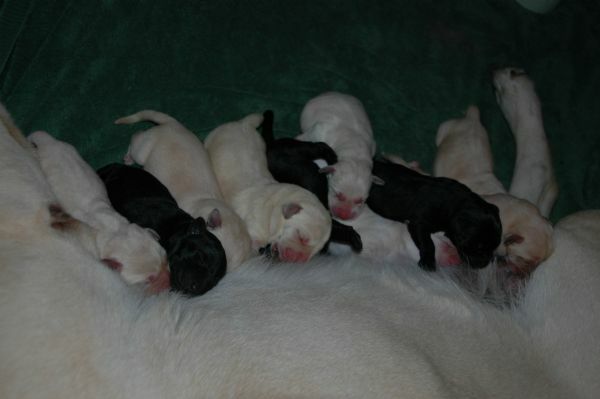 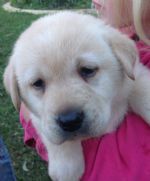 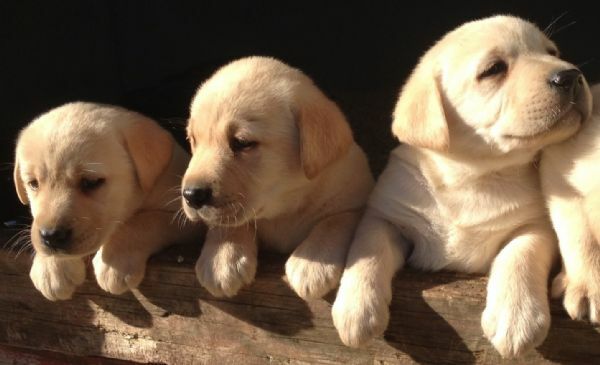 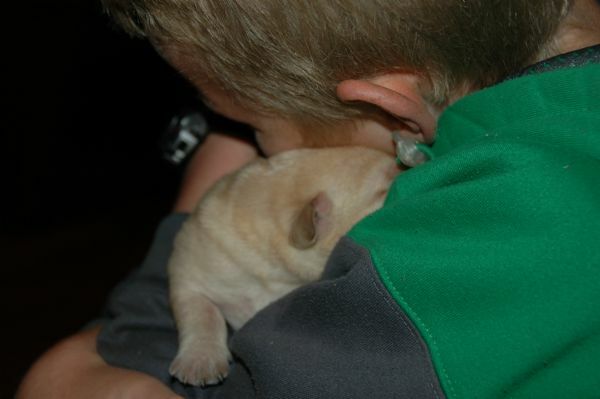 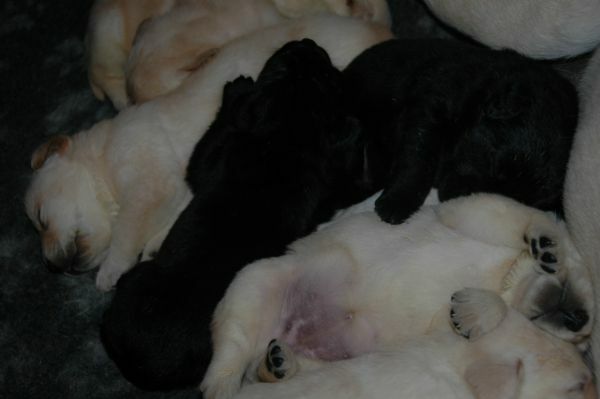 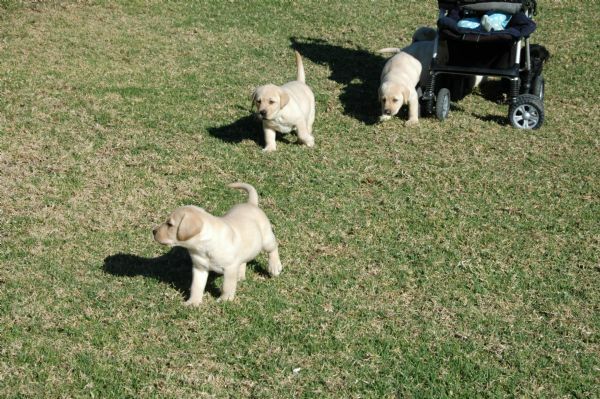 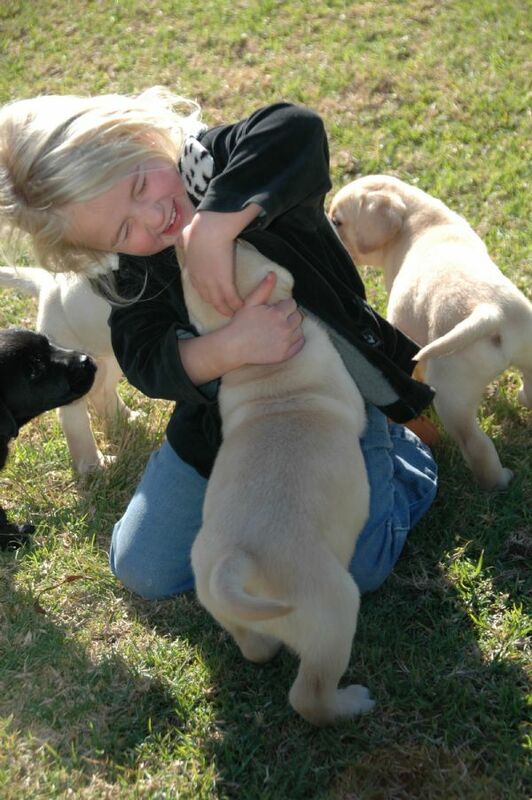 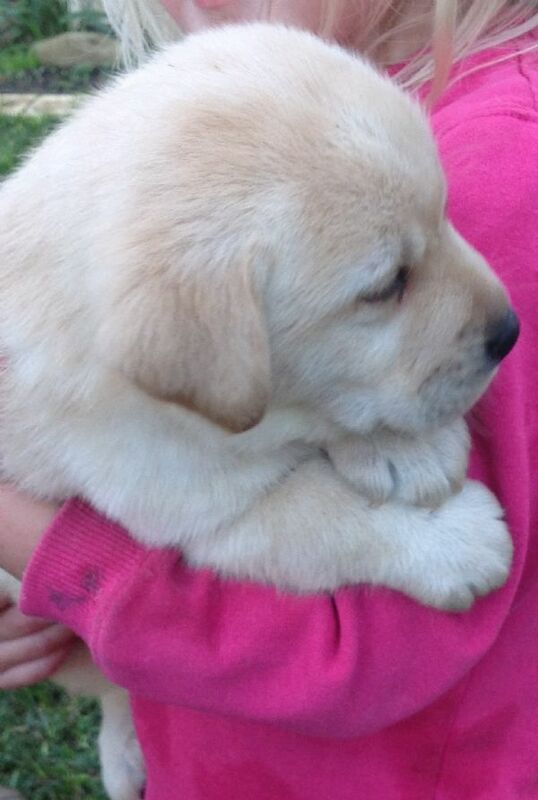 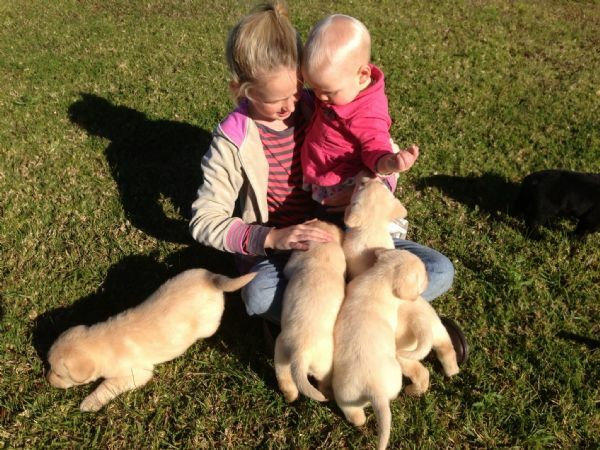 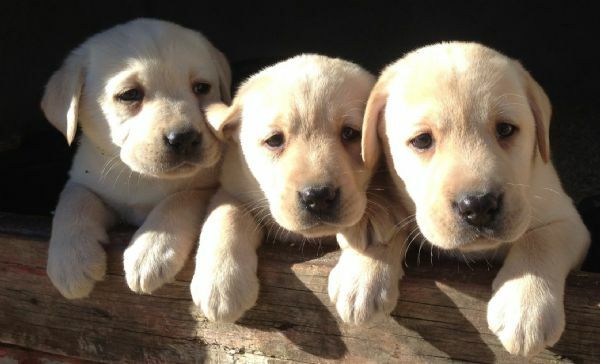 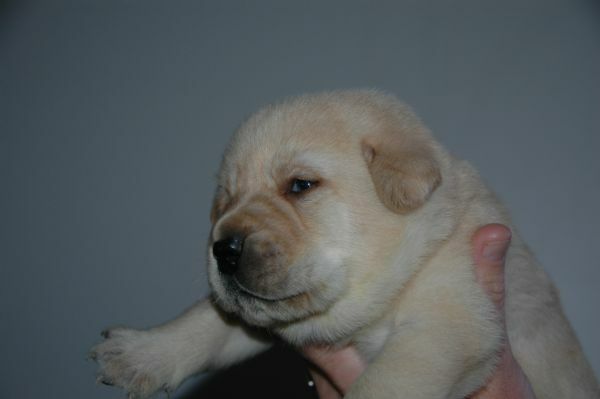 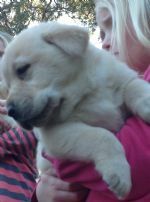 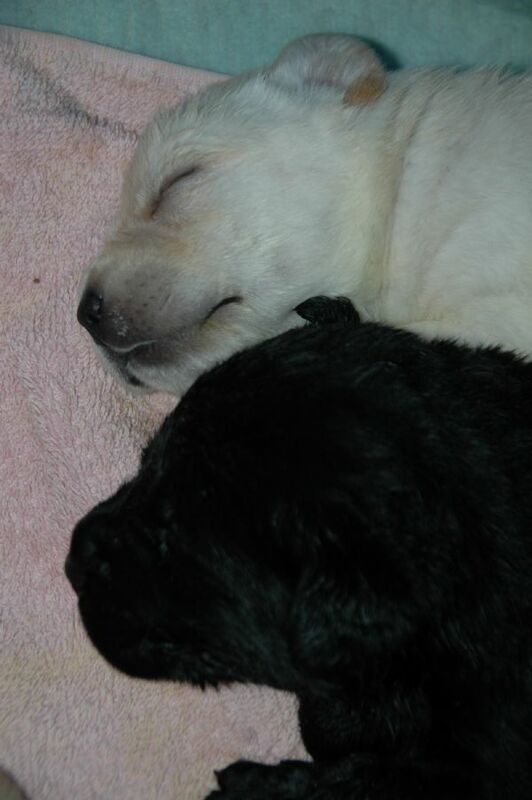 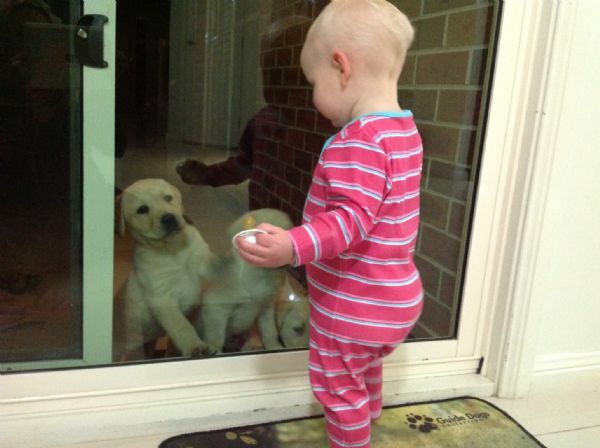 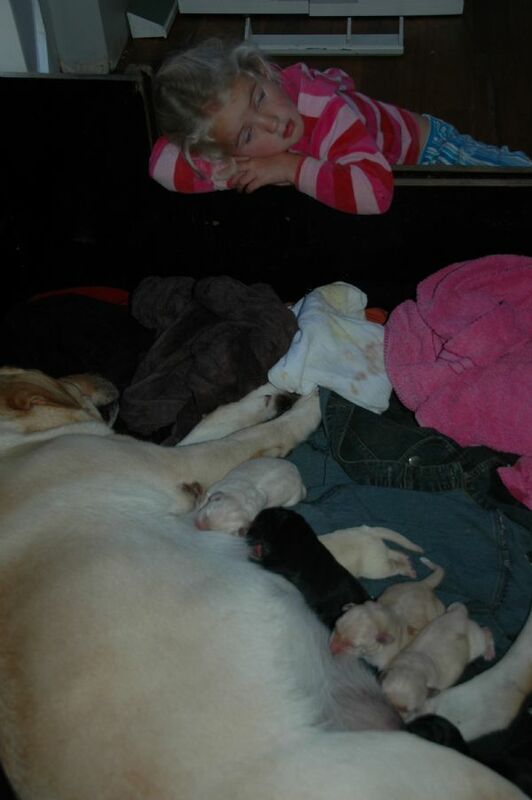 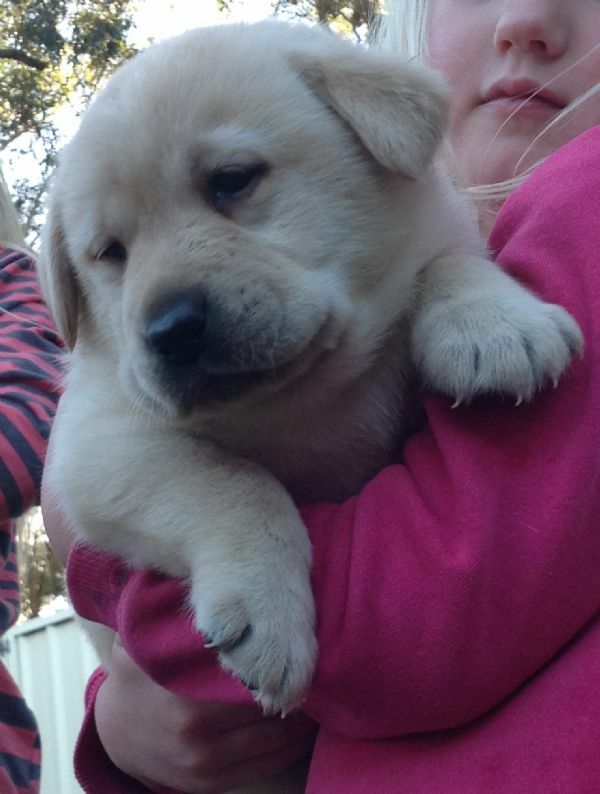 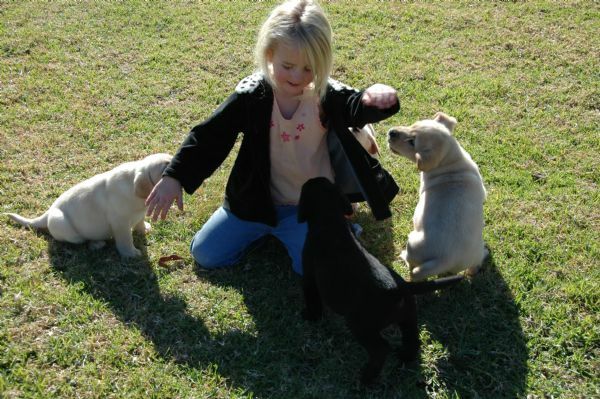 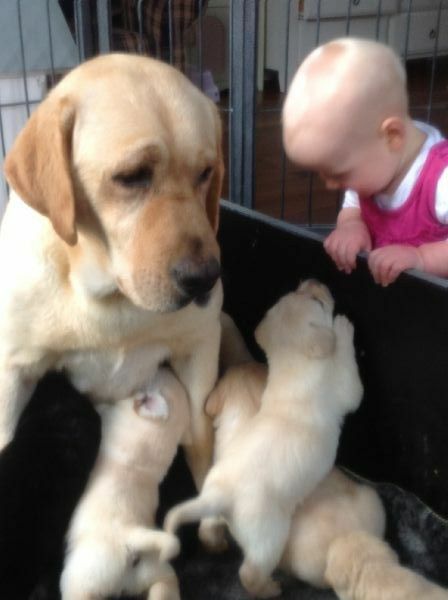 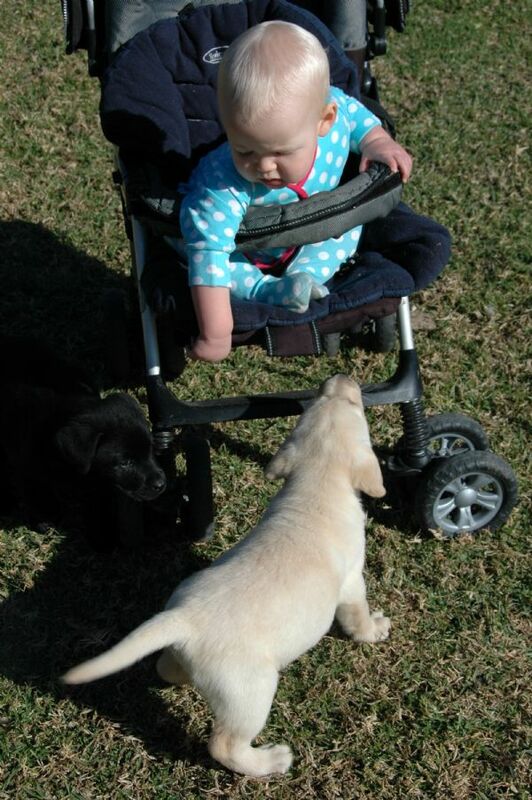 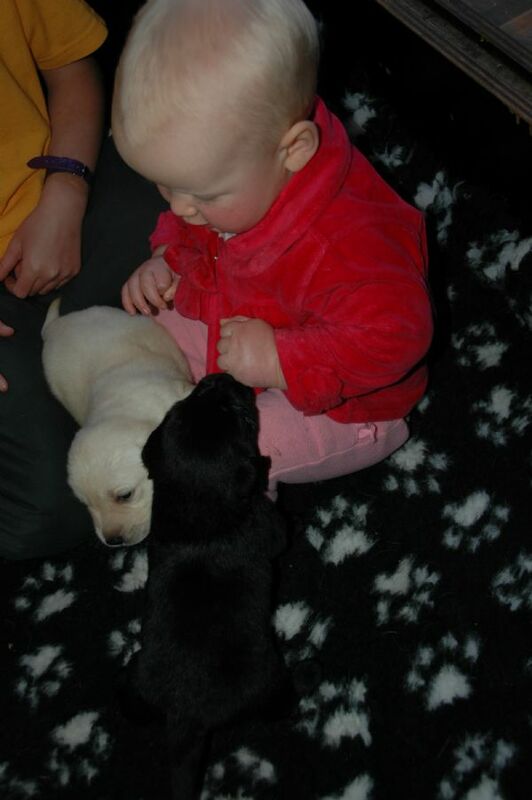 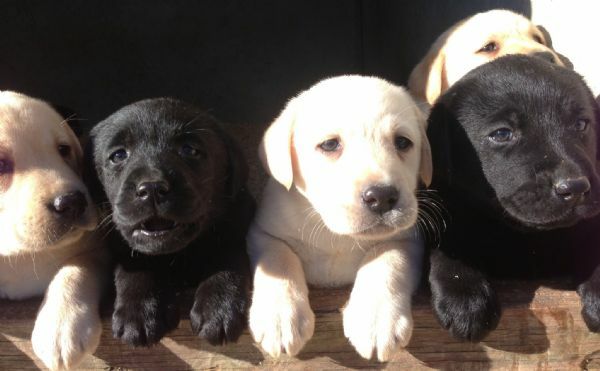 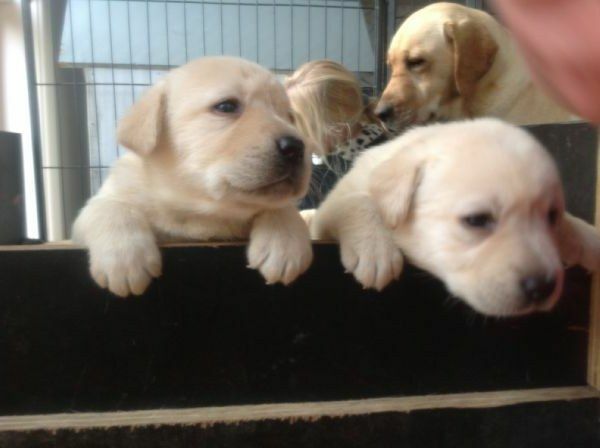 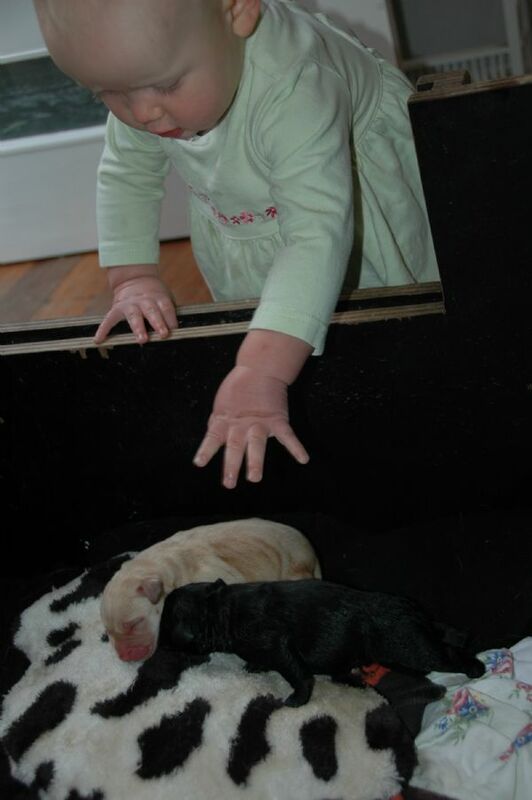 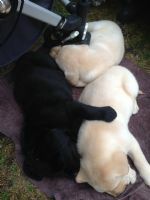 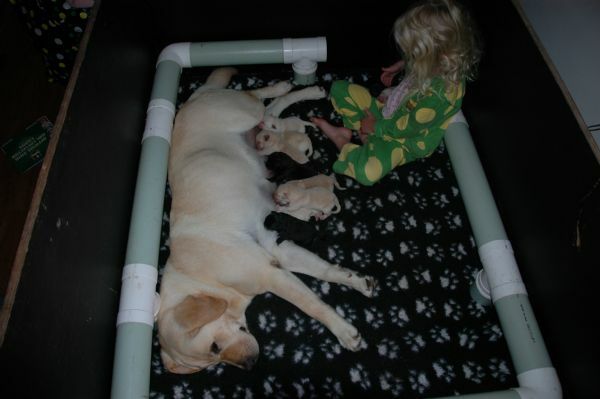 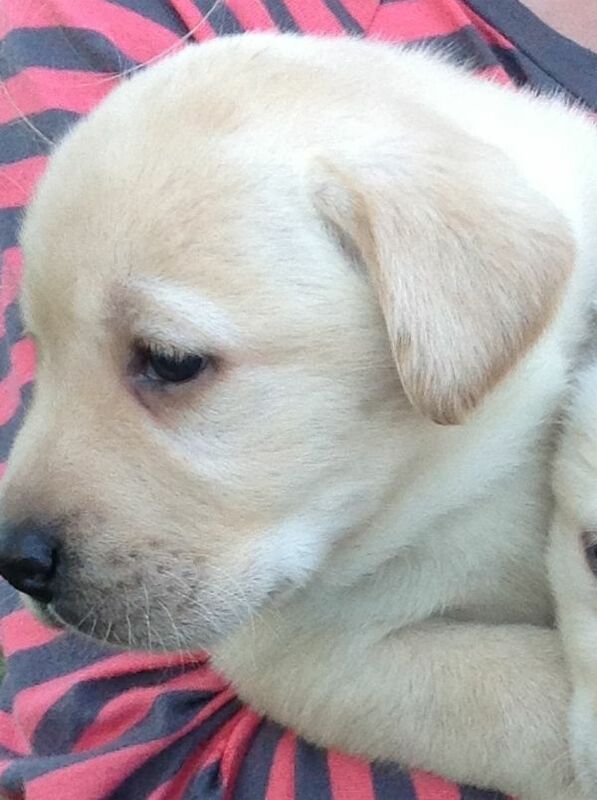 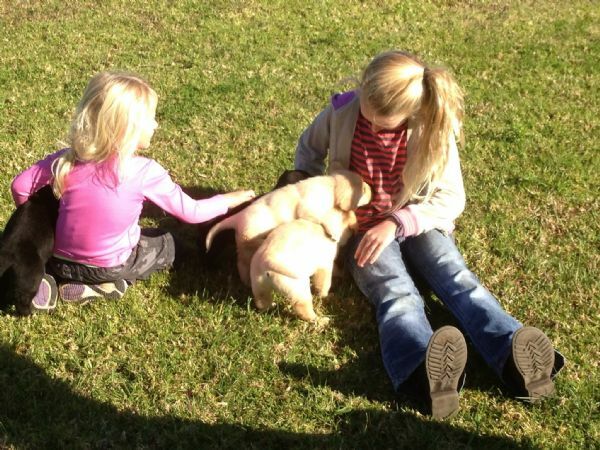 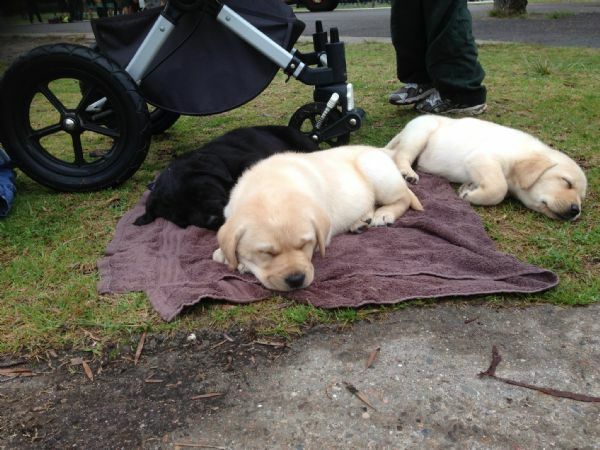 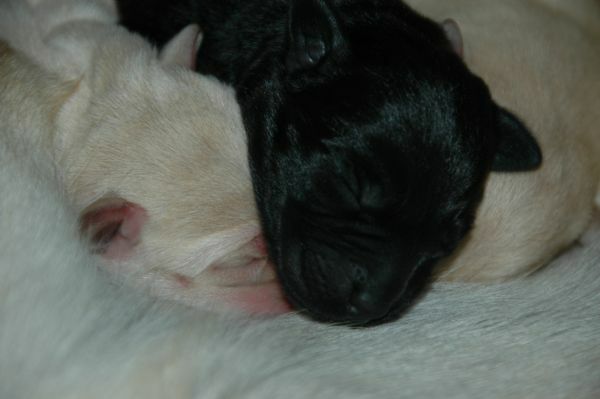 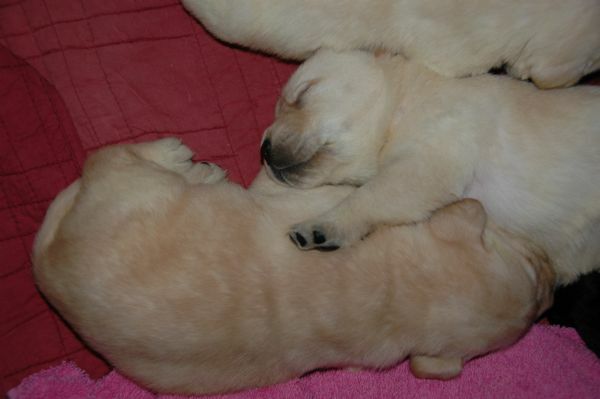 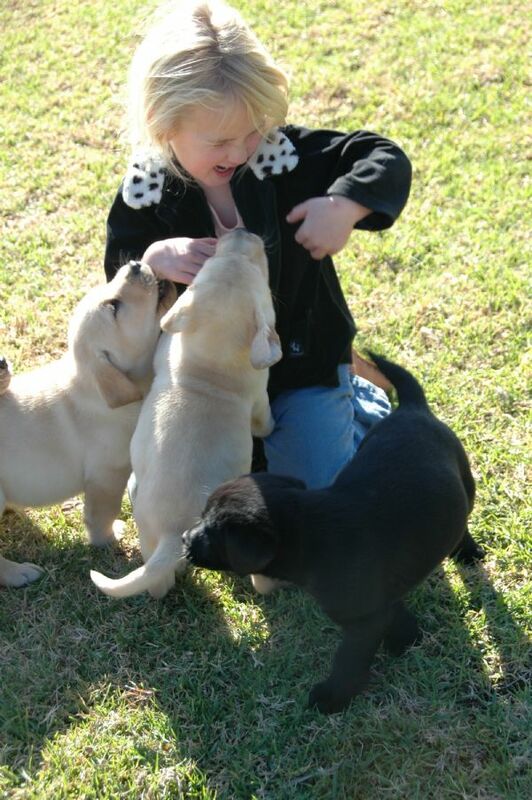 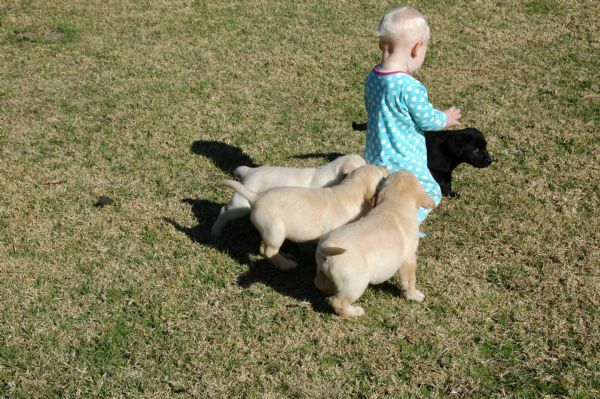 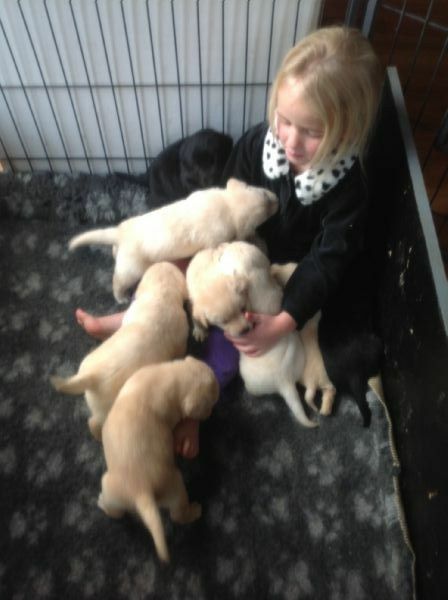 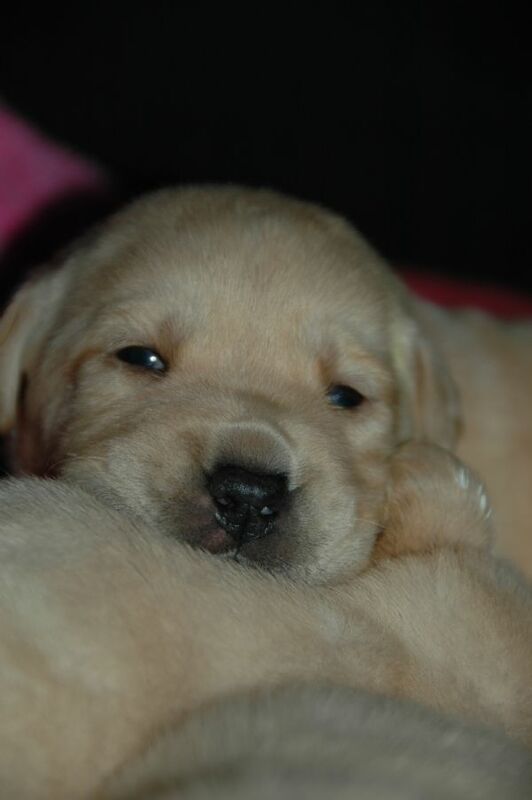 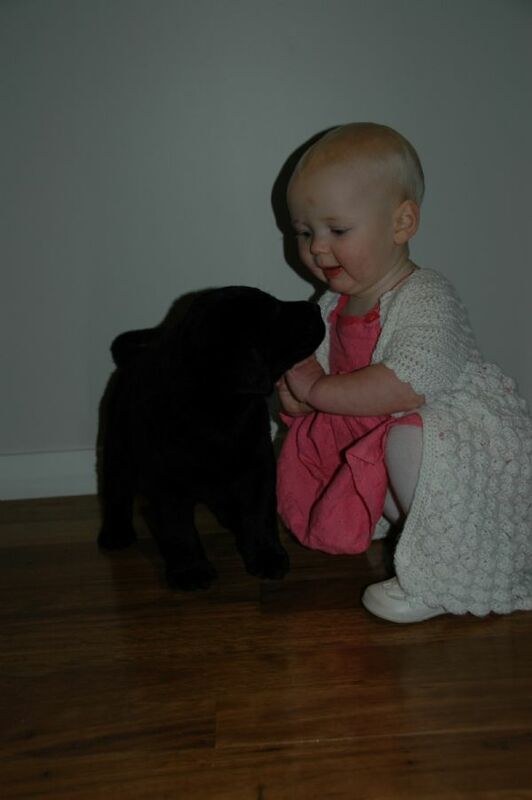 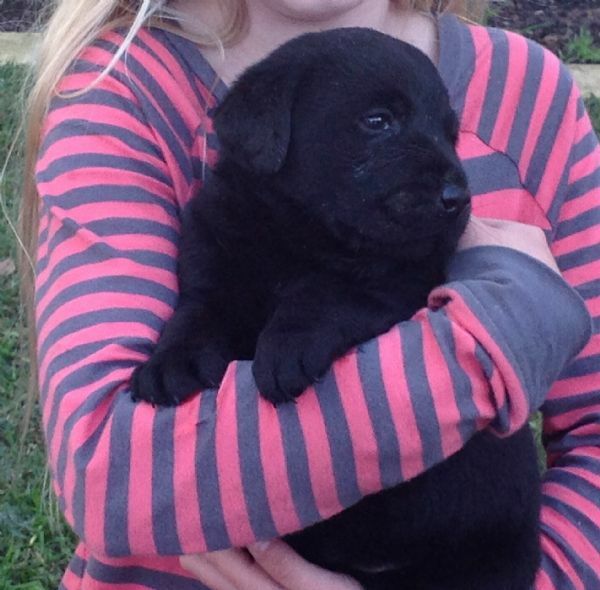 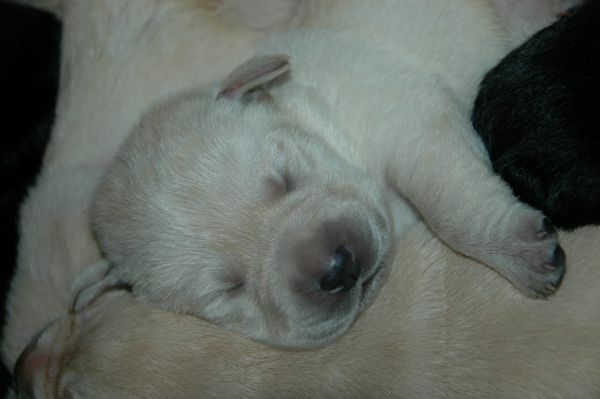 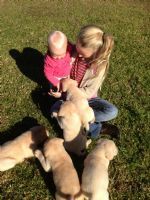 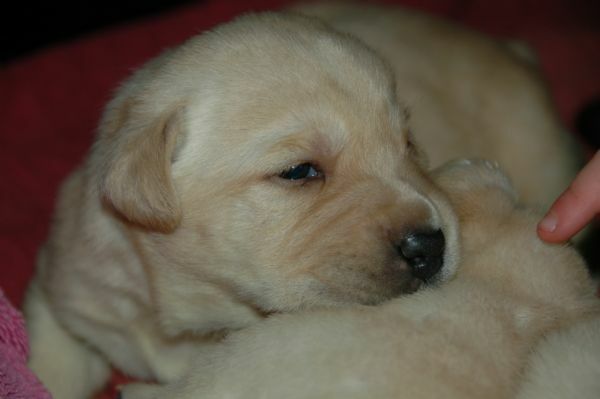 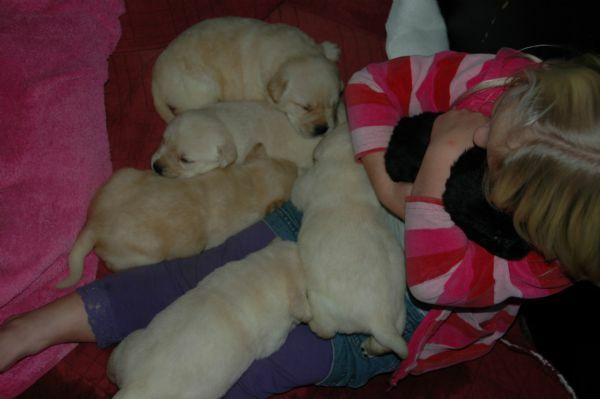 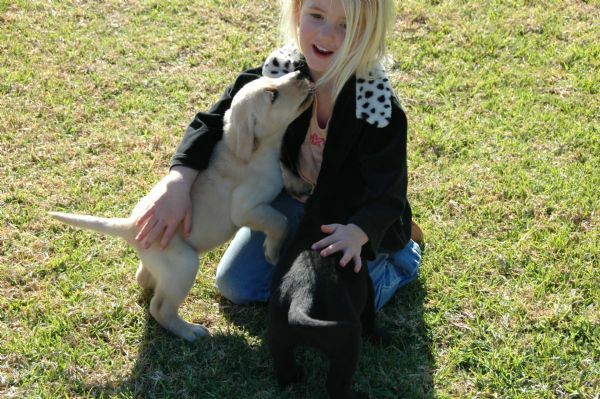 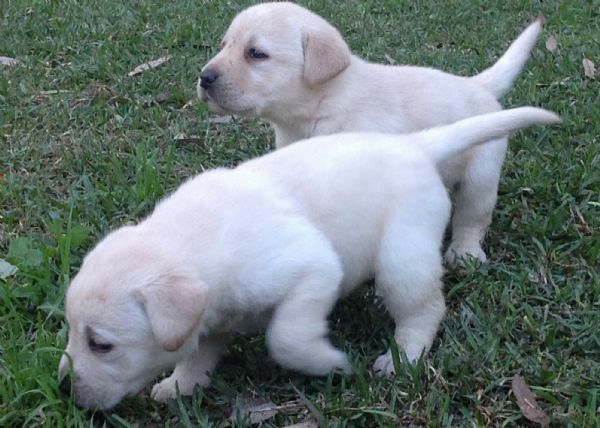 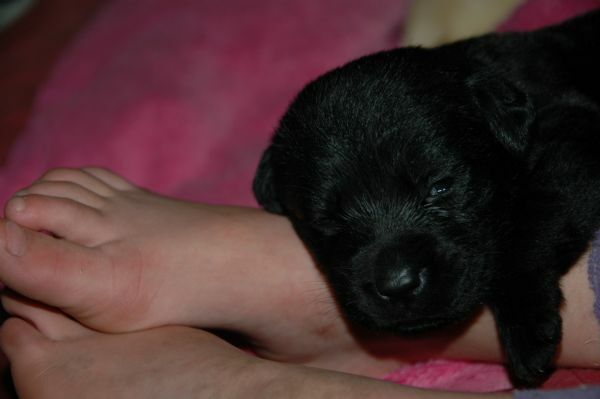 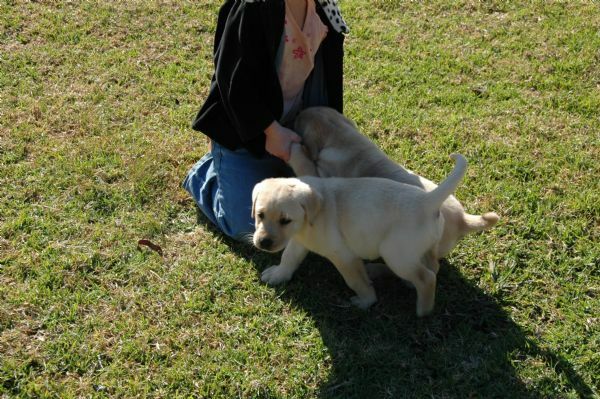 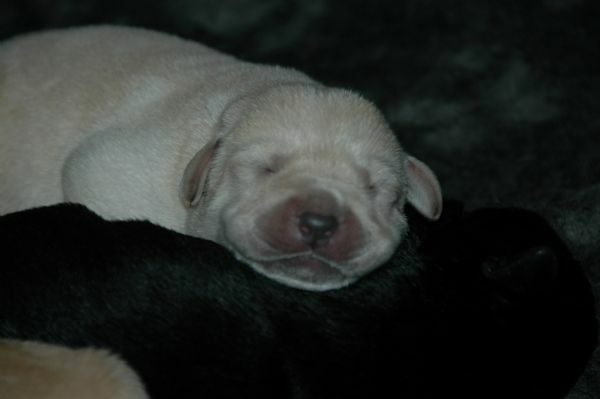 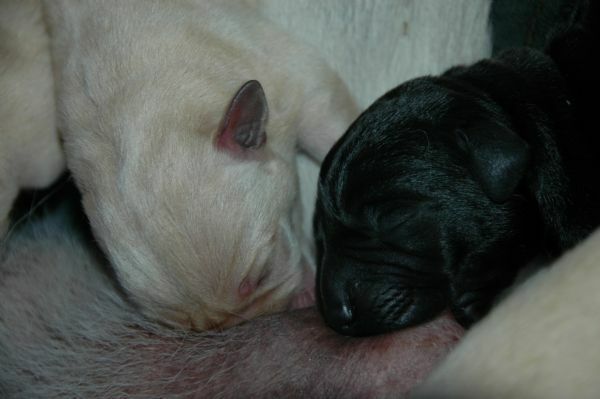 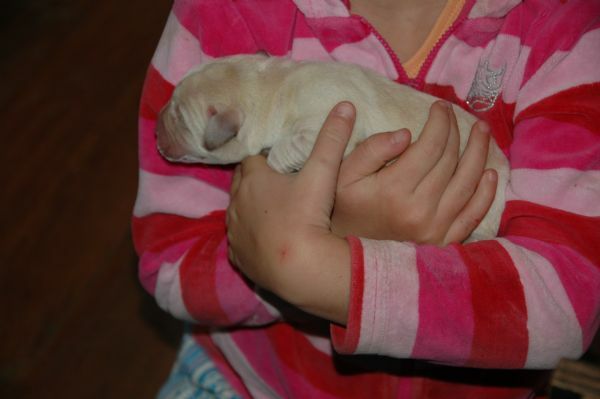 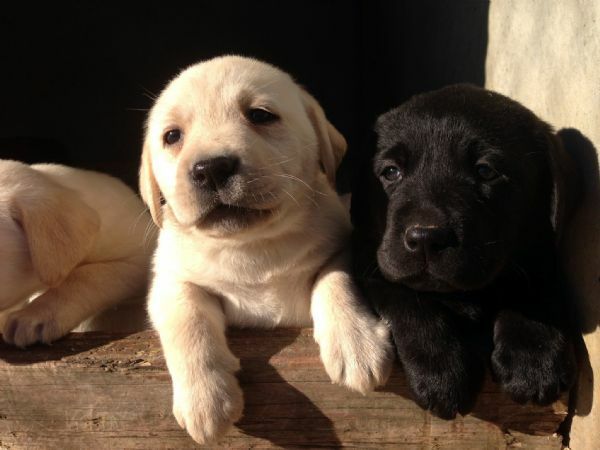 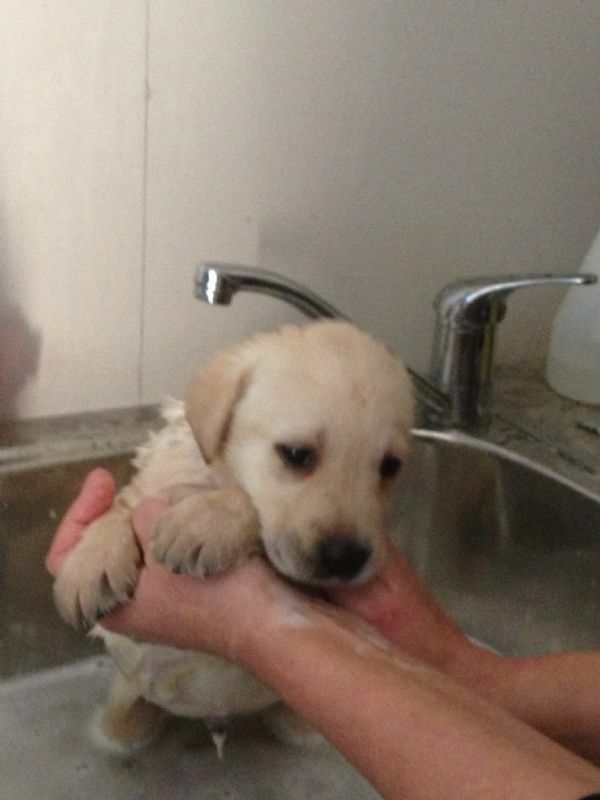 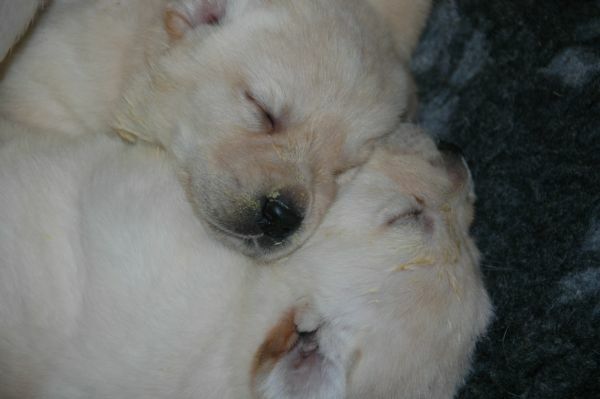 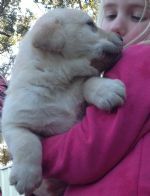 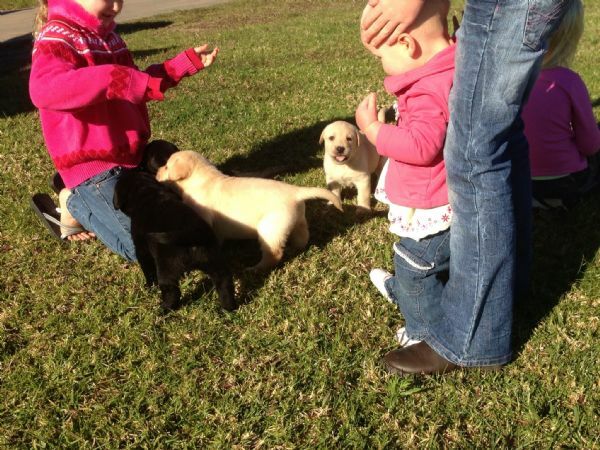 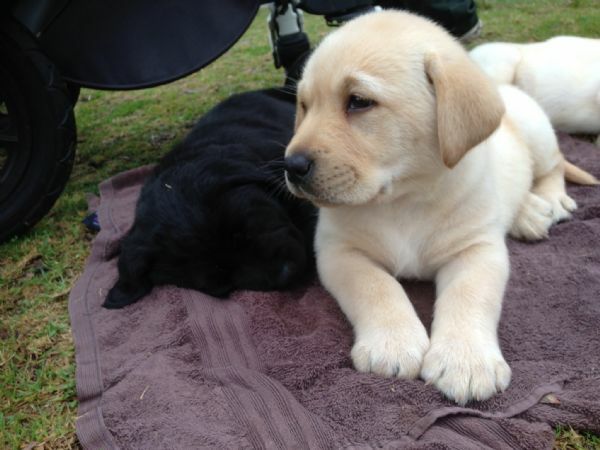 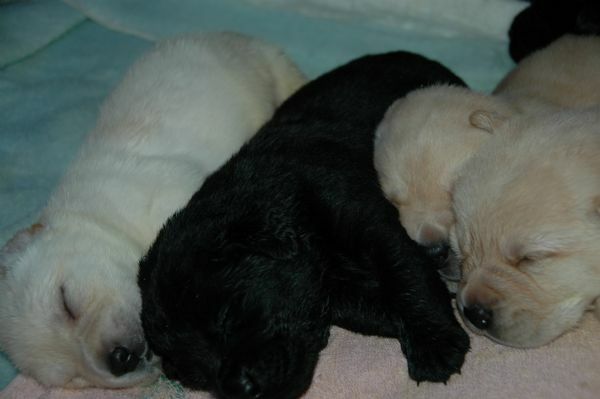 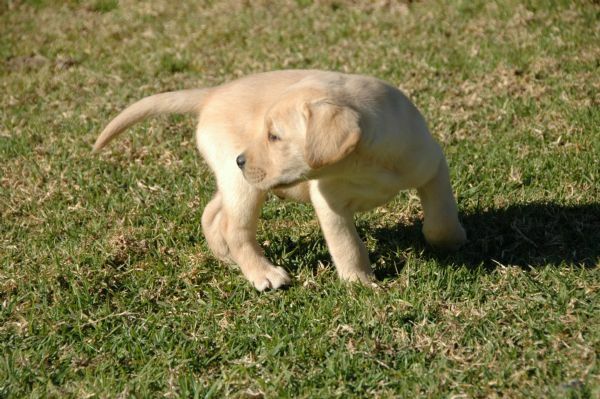 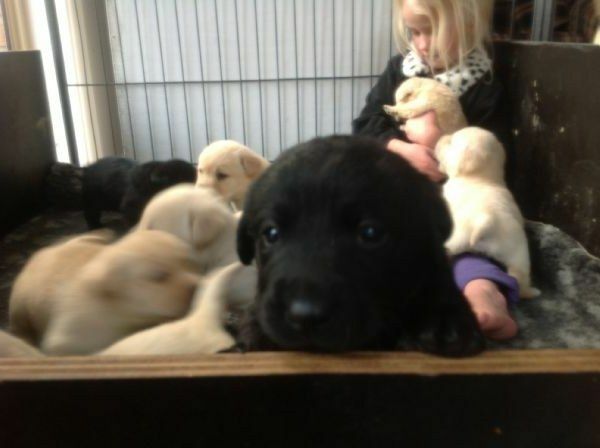 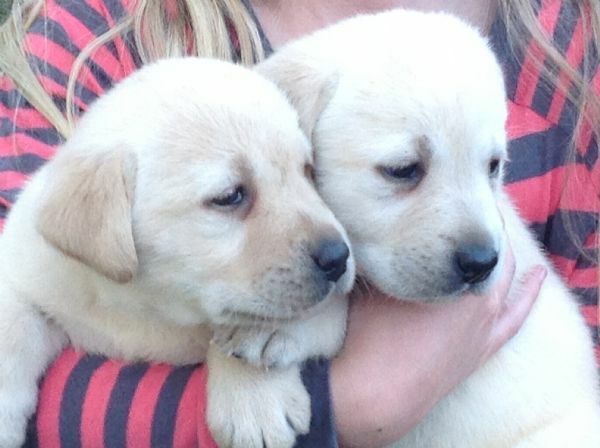 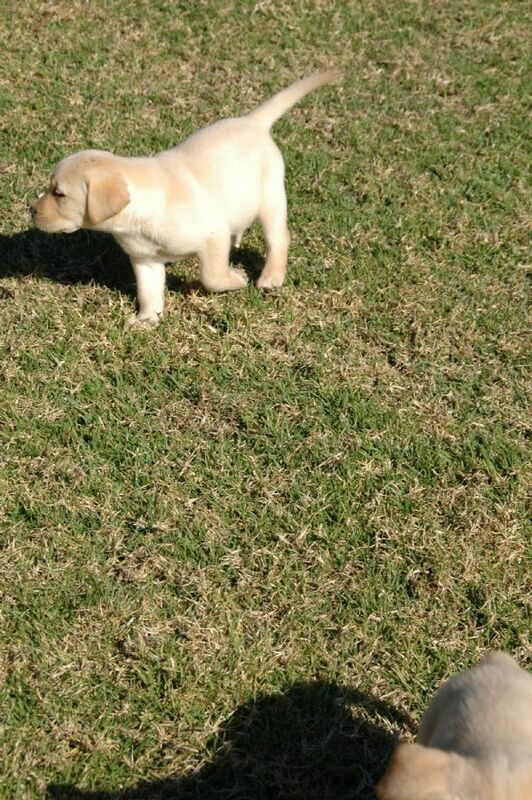 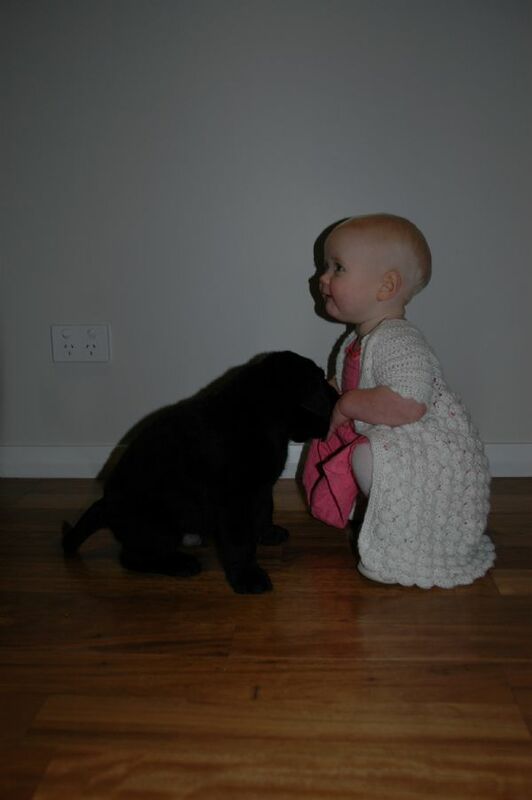 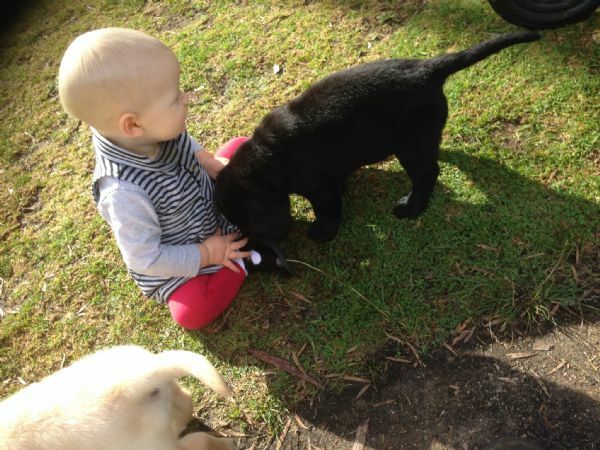 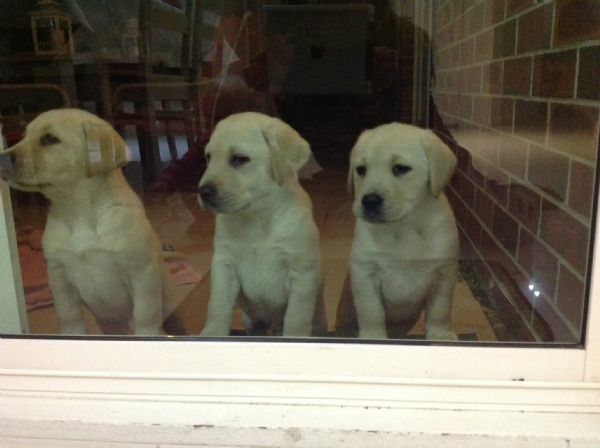 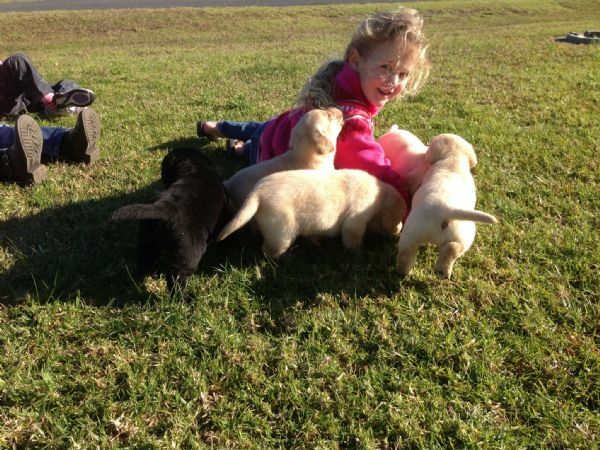 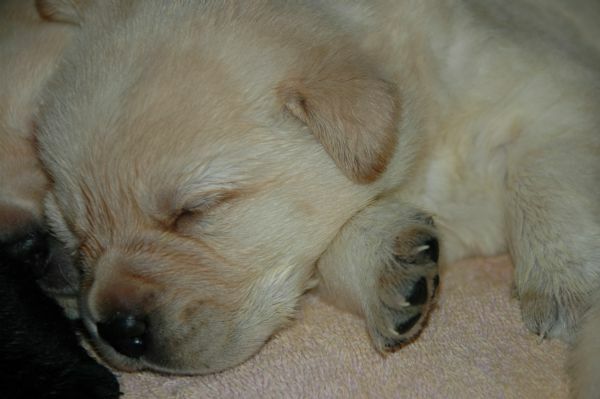 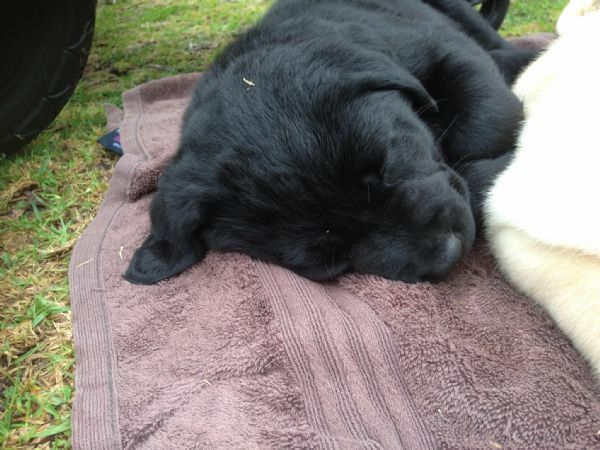 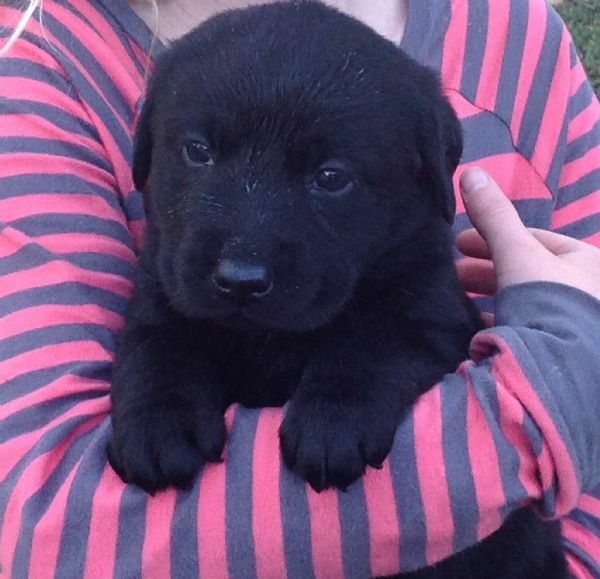 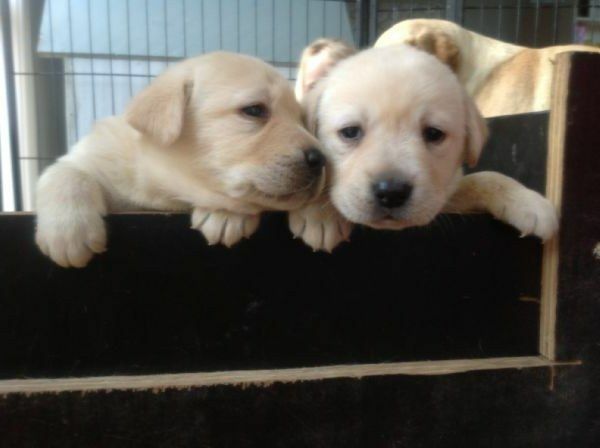 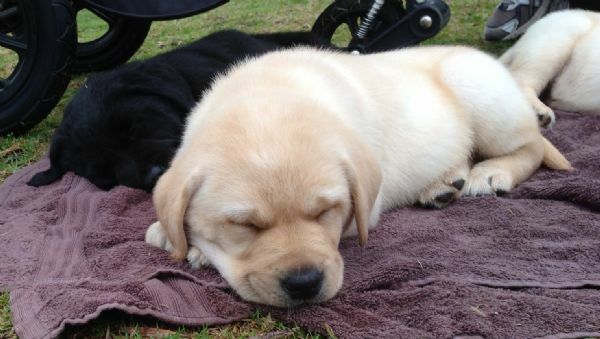 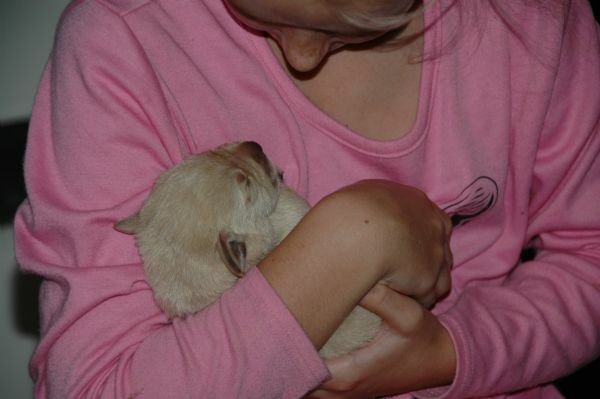 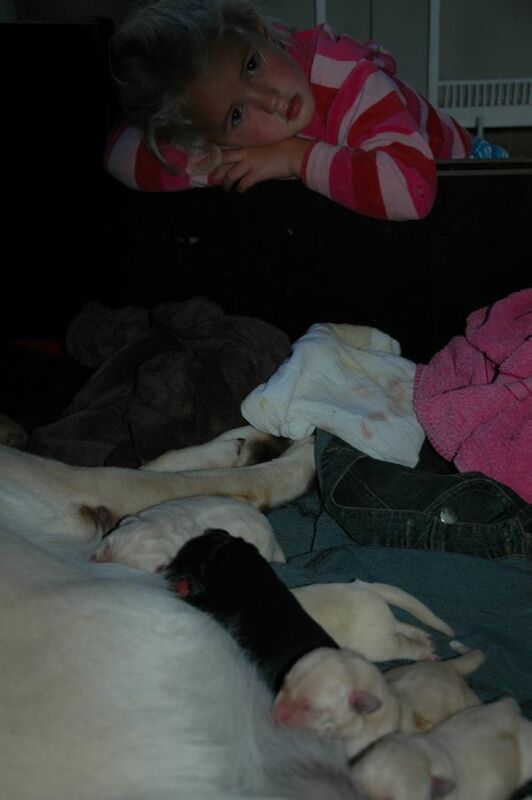 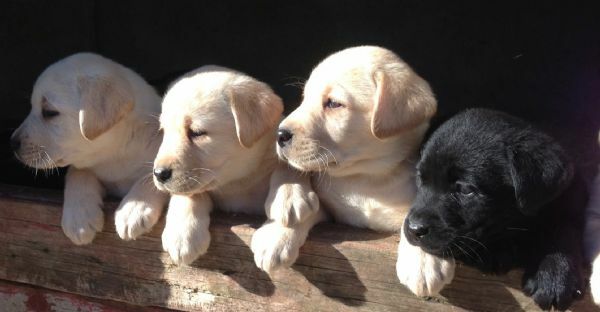 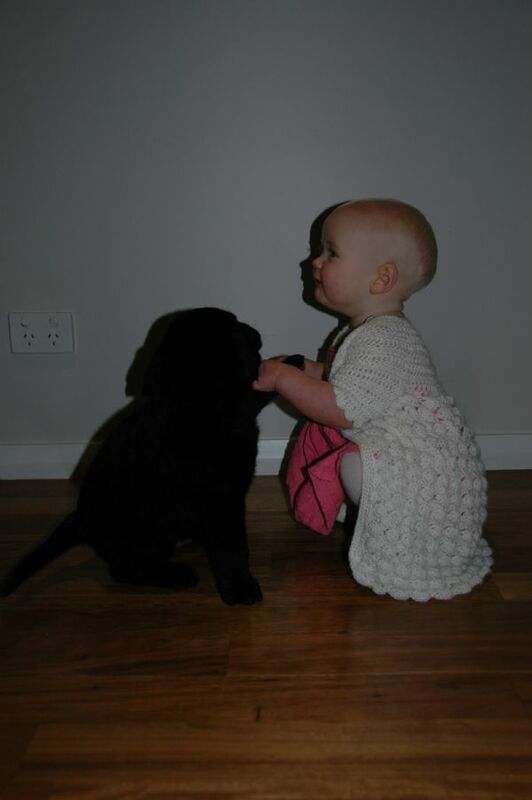 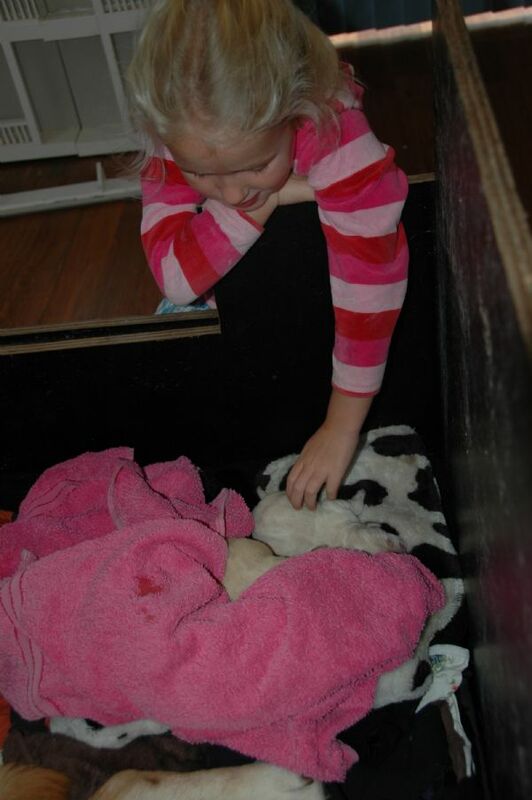 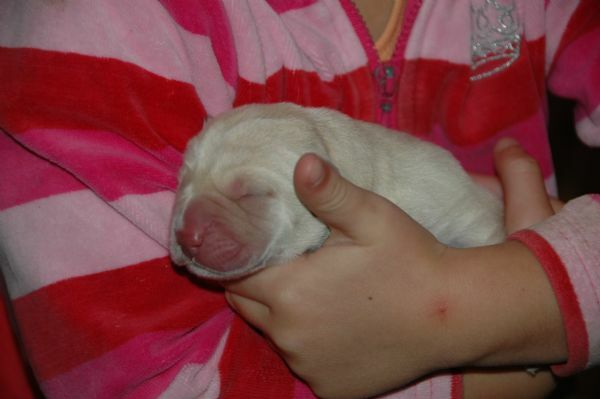 Lacie produces outstanding puppies with puppies going to Guide dogs nsw/act. 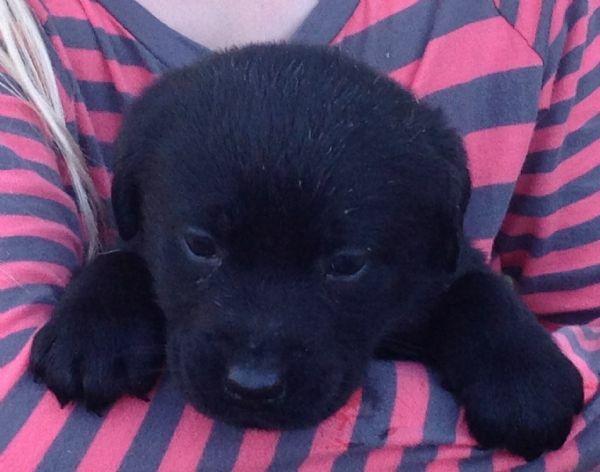 Lacie whelped on the 30th May 2013 so they will be ready for approved forever loving homes on the 25th July. 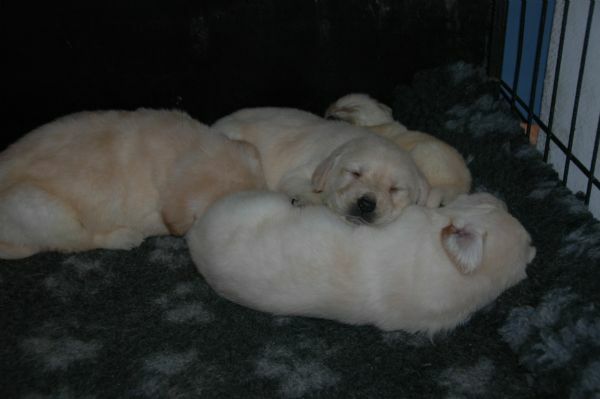 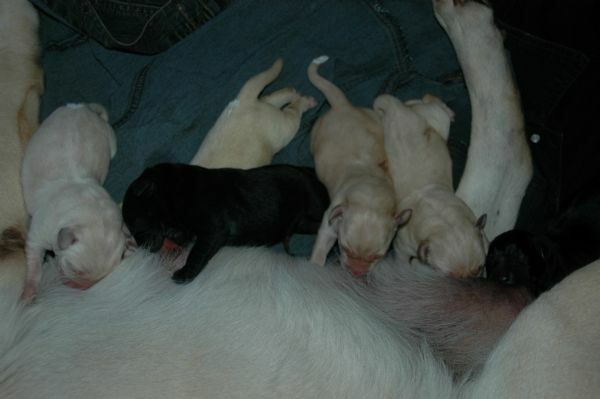 The white marks on the puppies (liquid paper) is there for me to identify which puppy is which for the first few days, making sure they are all gaining weight. 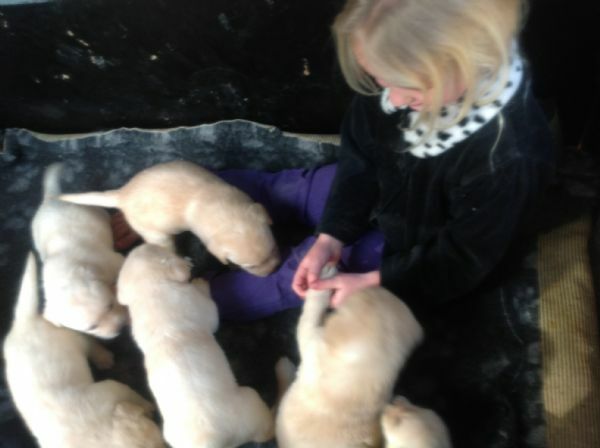 PUPPIES WILL COME REGISTERED , UP TO DATE WITH VACCINATIONS, WORMED EVERY 2 WEEKS , VET CHECKED ,INFORMATION PACK,6 WEEKS FREE PET INSURANCE AND VERY MUCH LOVED AND SPOILT BY ALL OF US. 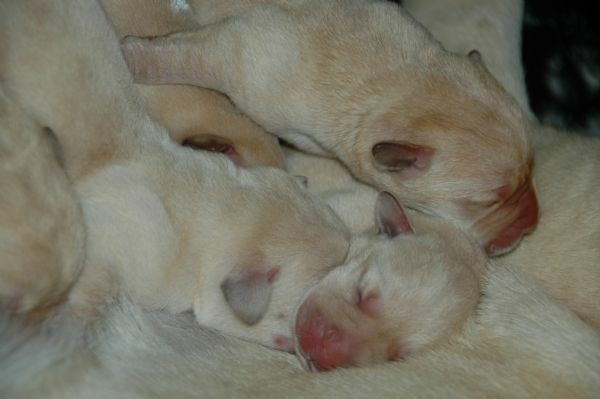 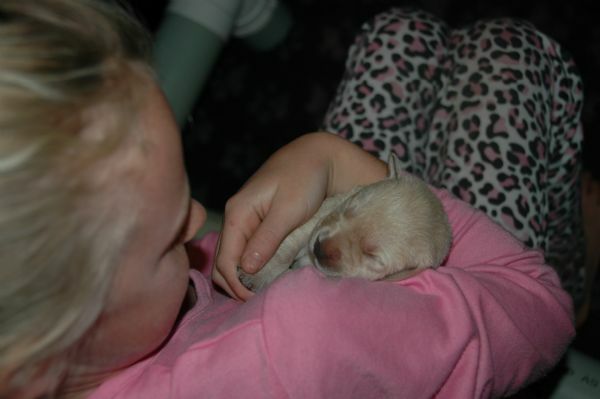 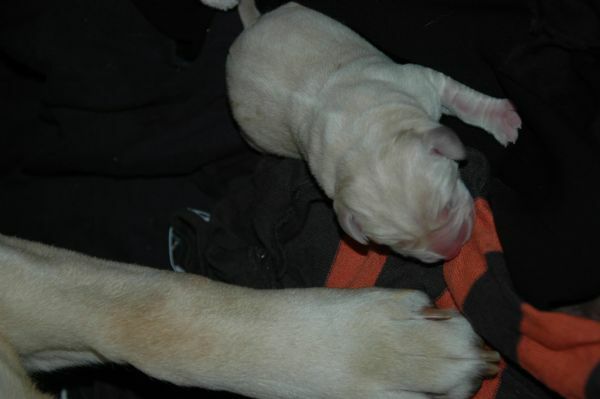 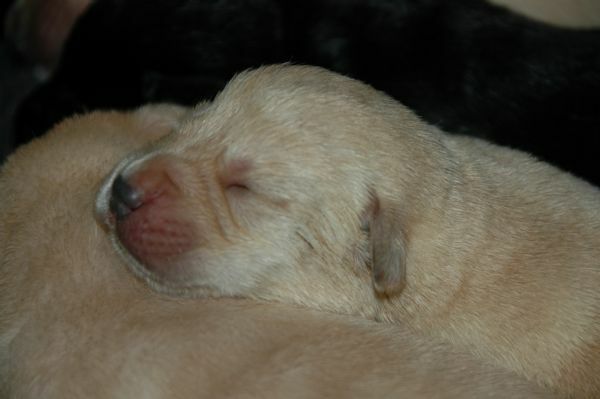 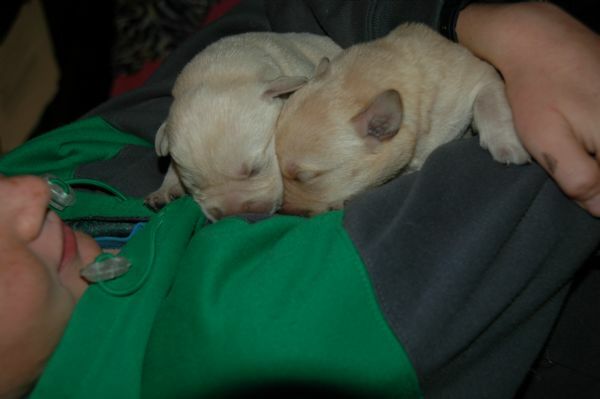 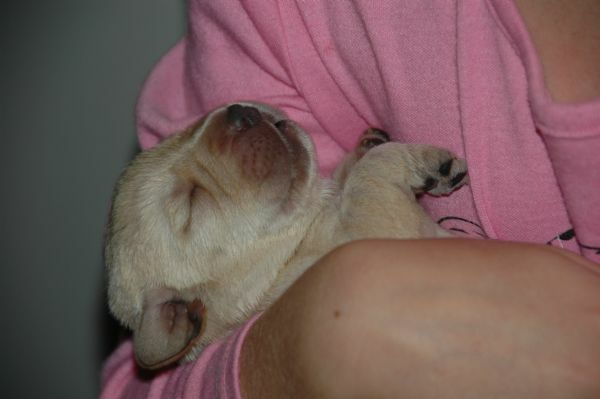 DETAILS OF BOTH MUM AND DAD ARE AVAILABLE AND PHOTOS OF LACIE'S PUPPIES WILL BE UP-DATED AS MUCH AS I POSSIBLY CAN. 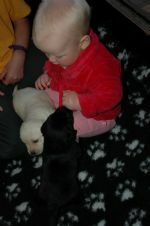 not sure what these little things are!!! ill just talk to them first! 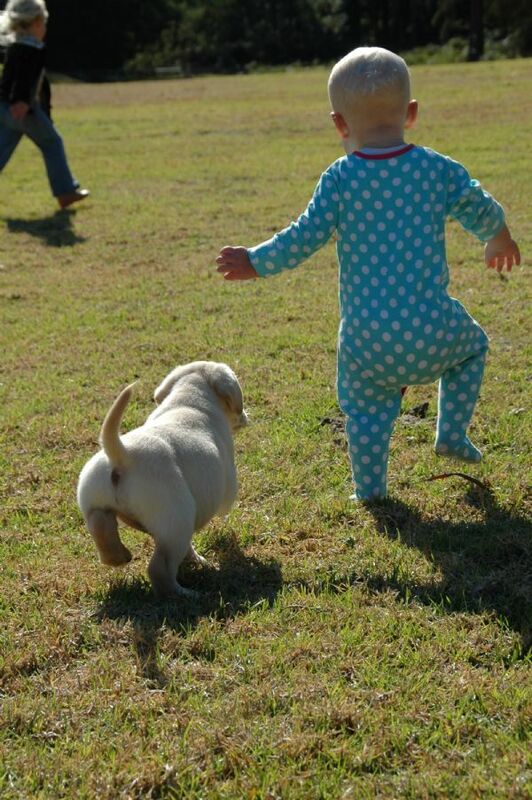 ok, well i might just try and pat one! 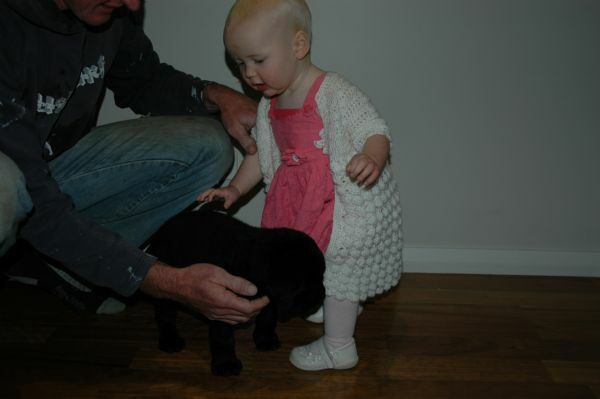 Its not all new for matilda! 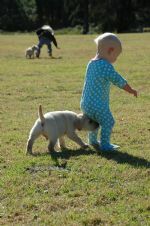 i think she has done this before! 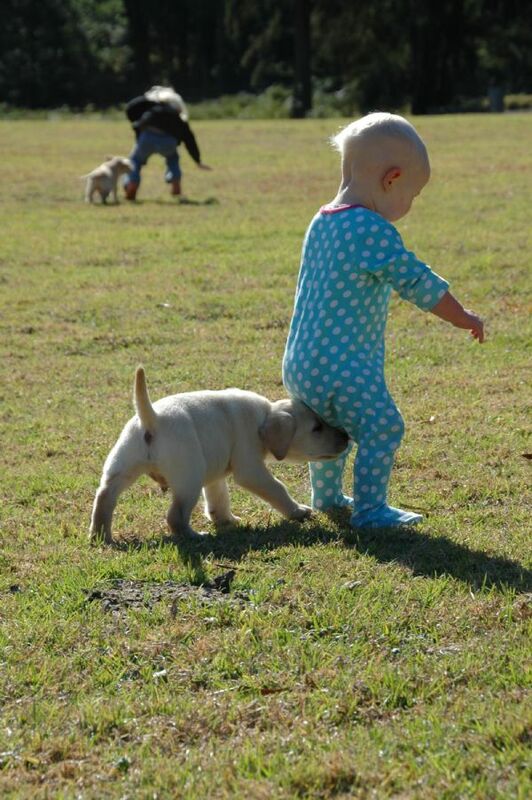 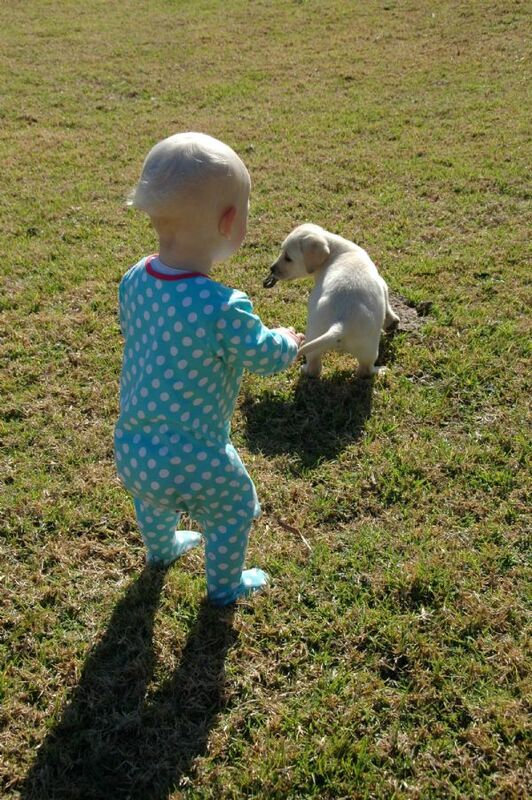 Lacie knew exactly what to do! 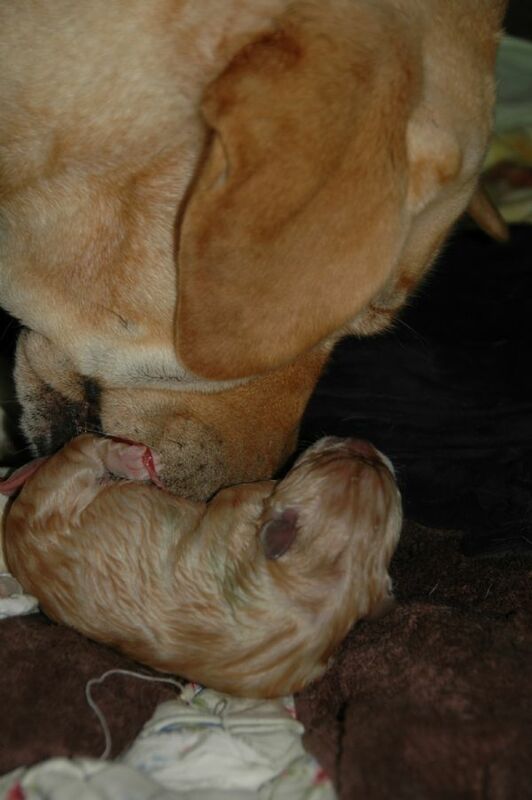 It was a big day for everyone!!! 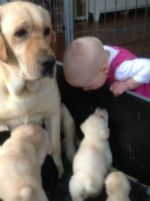 i know you lacie, just not sure about your little babies yet! 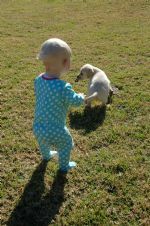 Lacie was letting meg know they are not going to hurt her!! 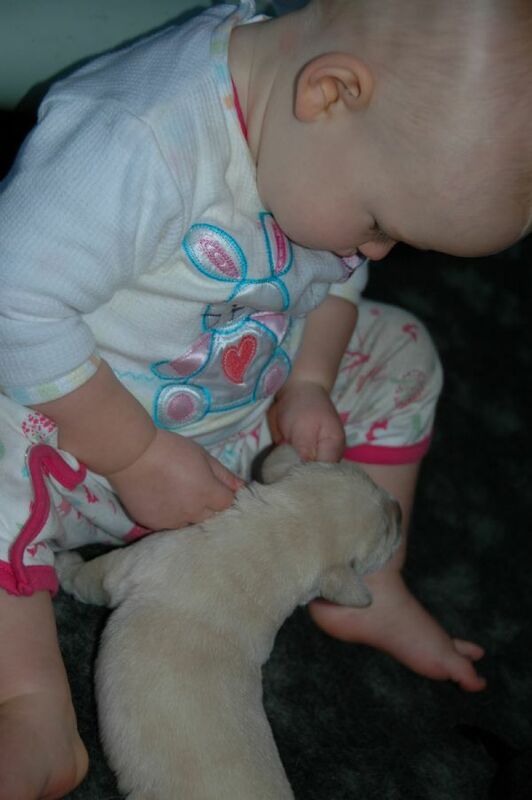 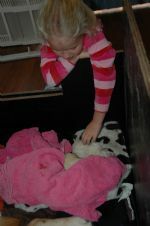 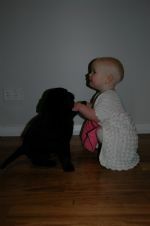 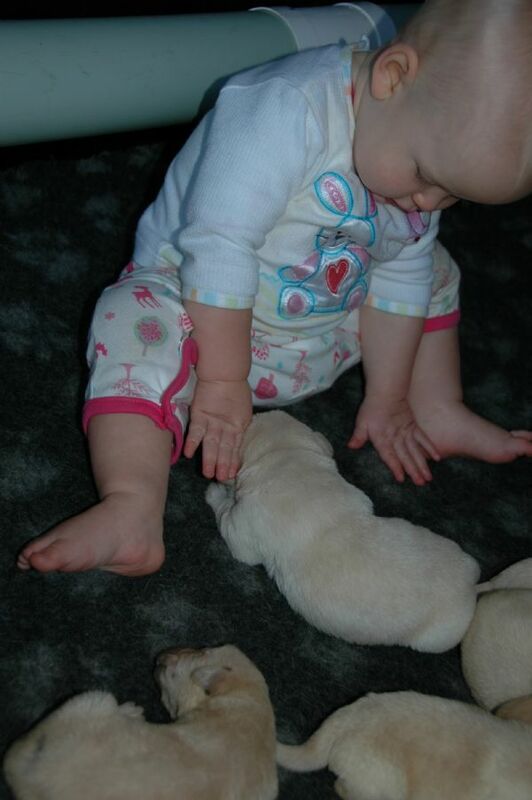 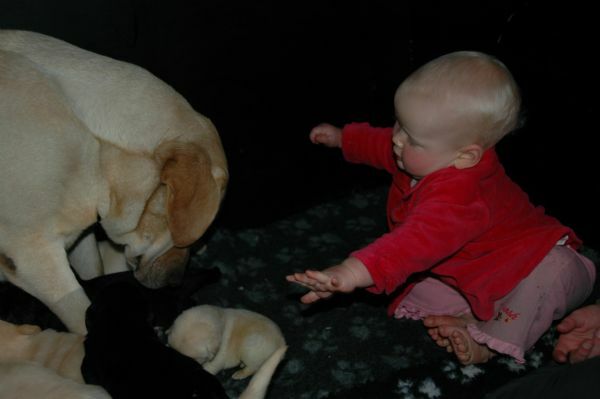 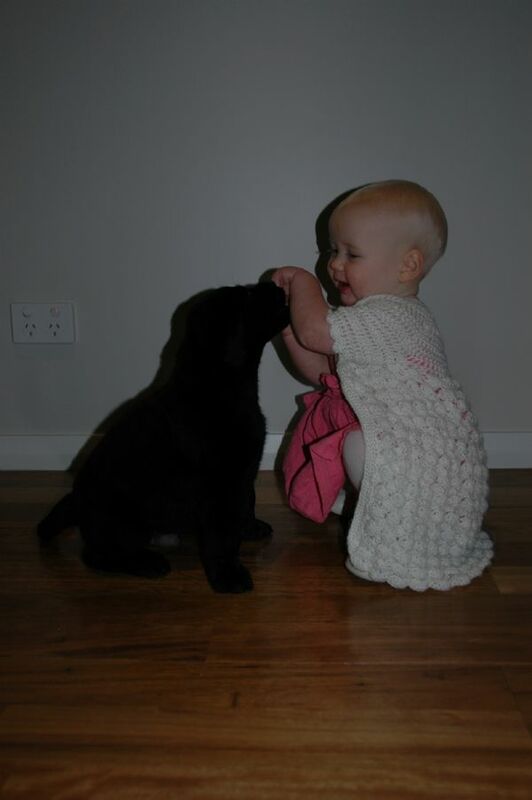 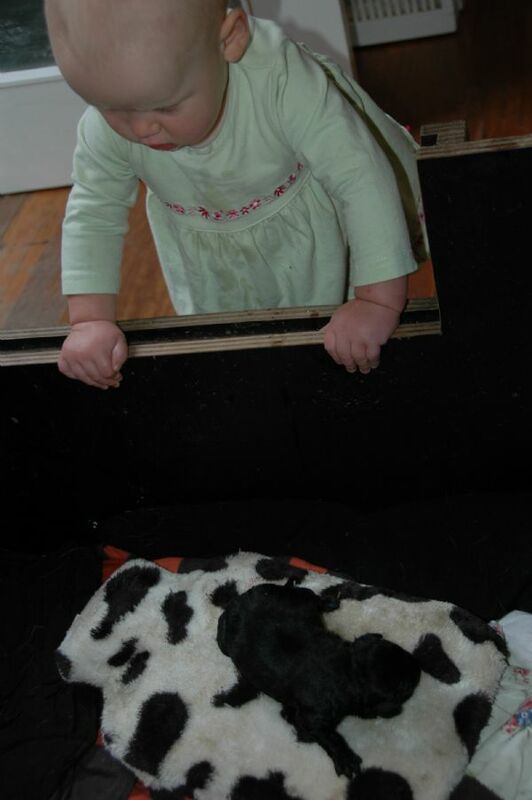 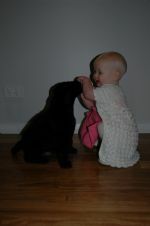 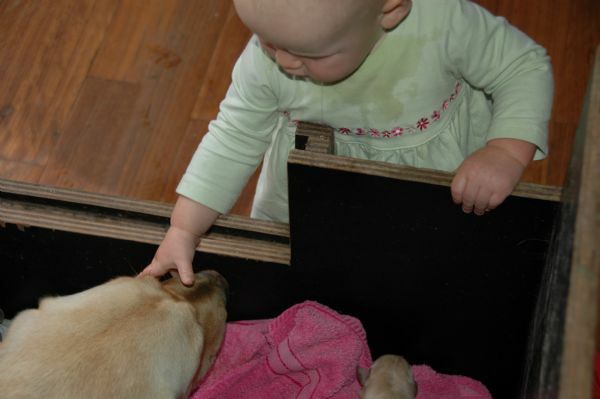 Matilda very gently showing meg the puppies. 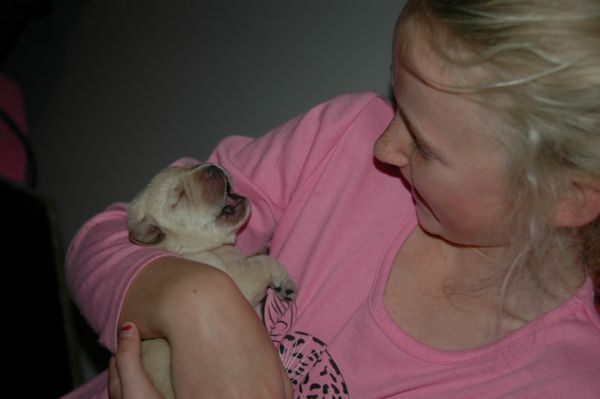 Oh, she sleeps like you chloe-snoring away with her mouth open!!! 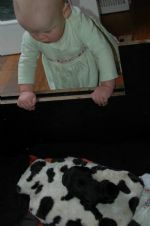 She thought we didn't see her sneak in the box!!! 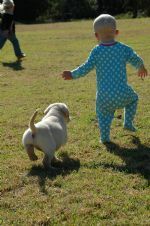 These 2 are my favorite!! 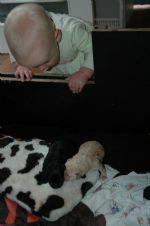 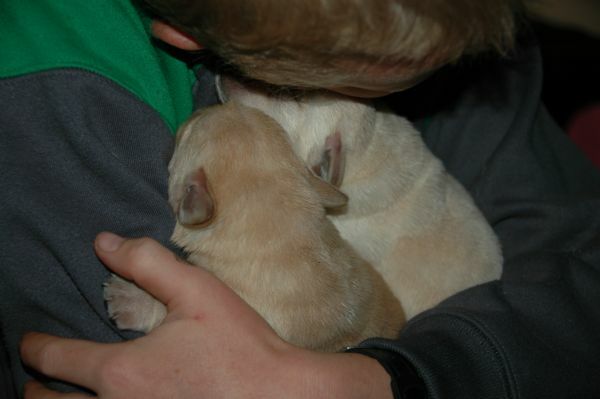 Of course it s the 2 boy puppies!!! 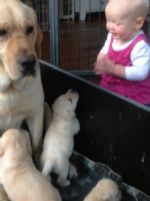 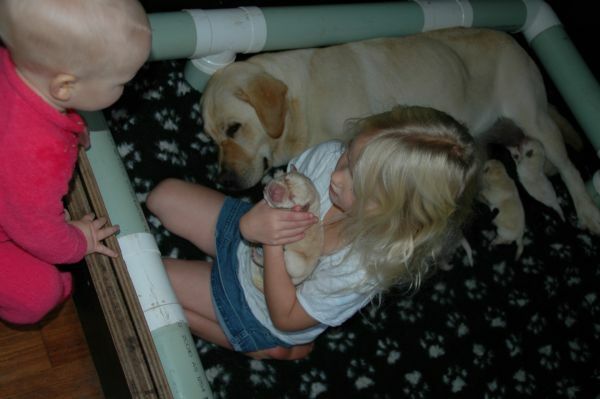 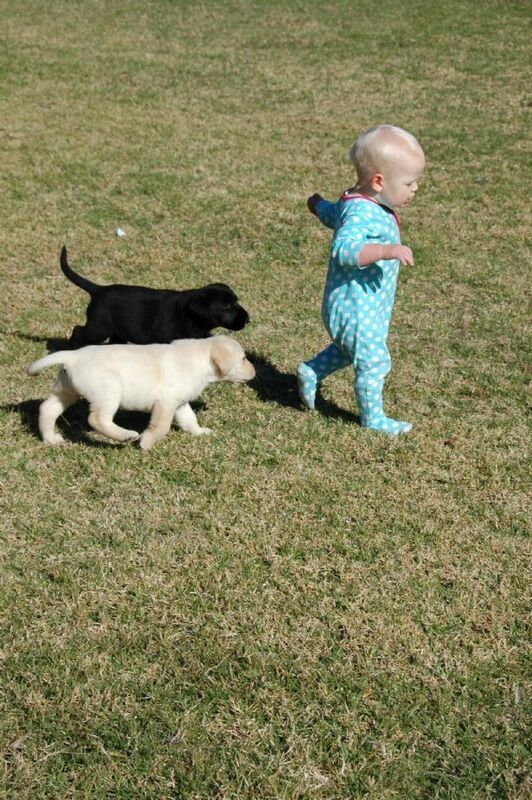 meg just loves the puppies now!!!! 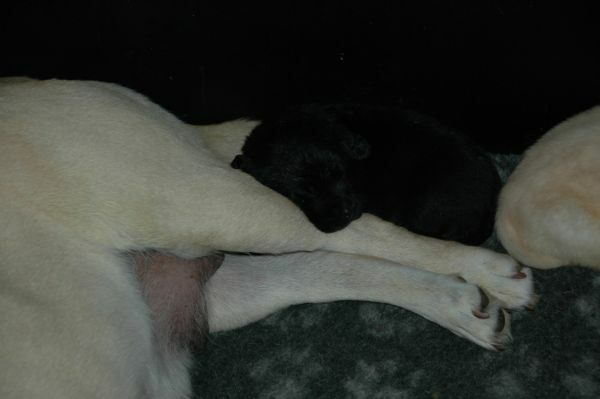 Meg having her daily snuggle with lacie ....I don't know who loves each other more!!!! 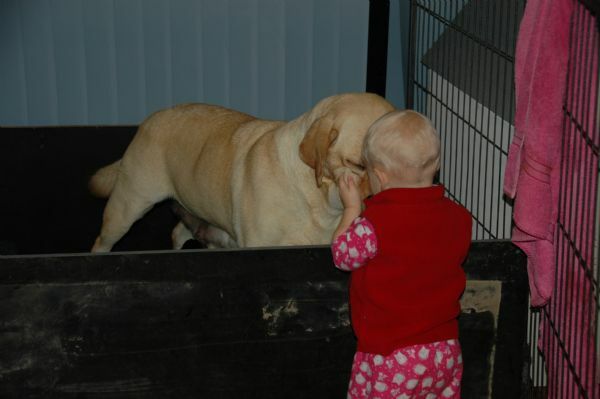 Having a little chat with meg! Clapping hands for the puppy.....your so clever!! 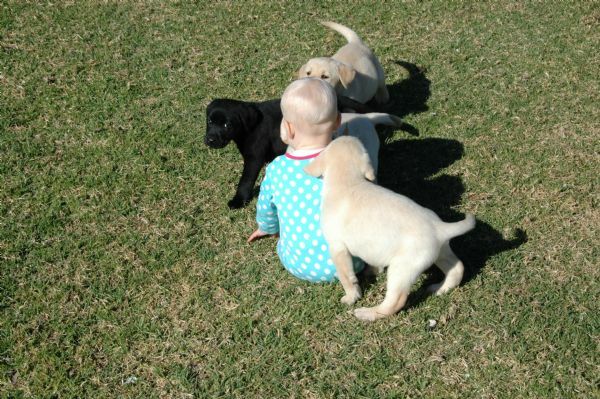 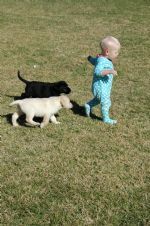 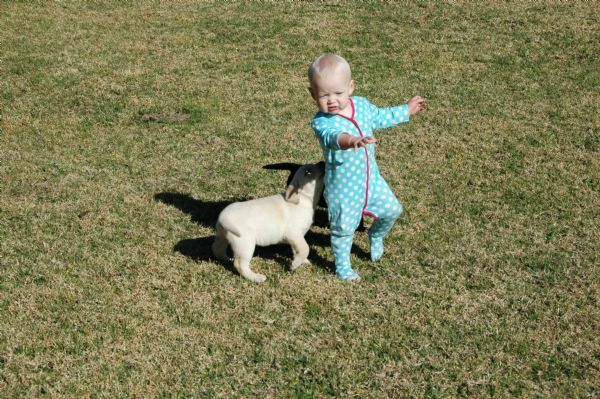 Having one of there first explores on the grass!! 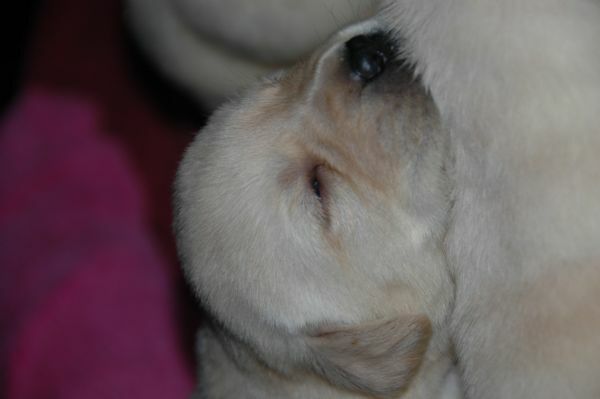 Our little Male-with breaky on his face again!! 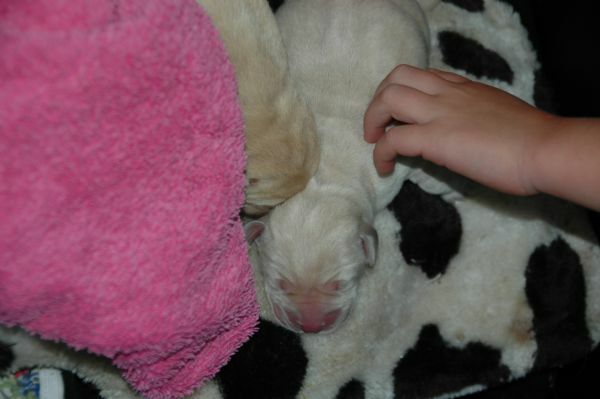 Another one of lacies gorgeous males! I'm not sure about having a bath! They love getting meg's shoes! 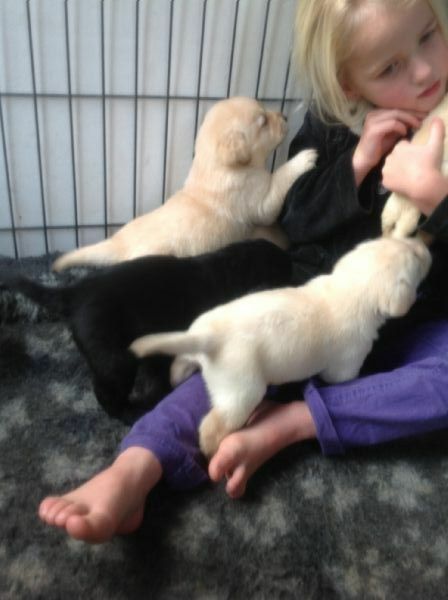 Starting to rumble each other- pulling each others tail! 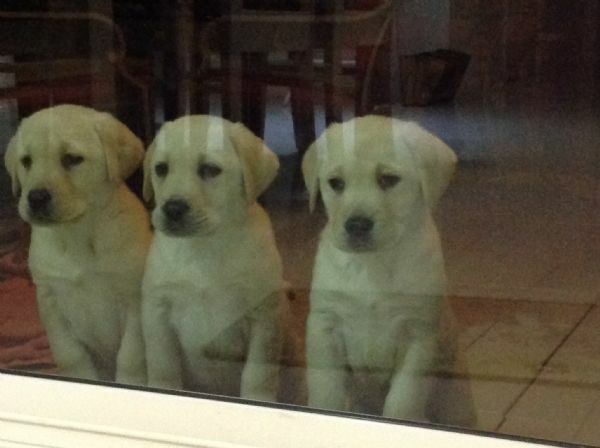 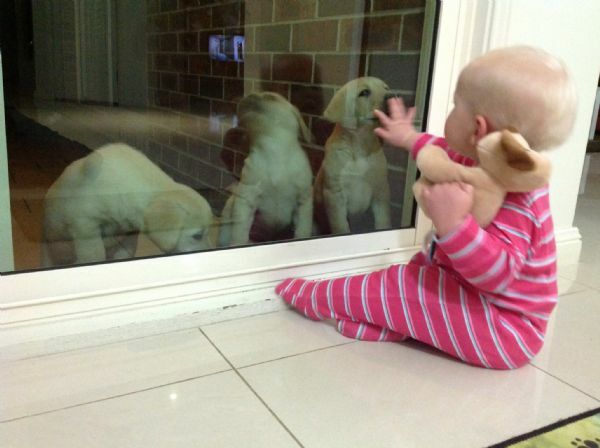 Oh....can we please come back inside- we won't wake you up early! 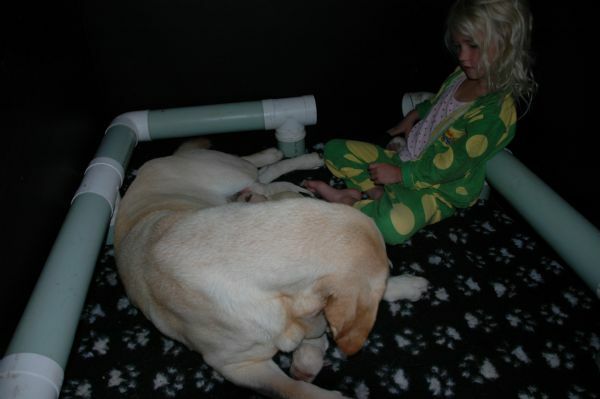 Thank you for our new bed!!!! Trying to get all puppies sitting at once....have fun with that matilda!!!! 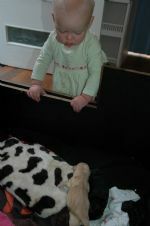 Im right here if you fall while learning to walk meg!!!! 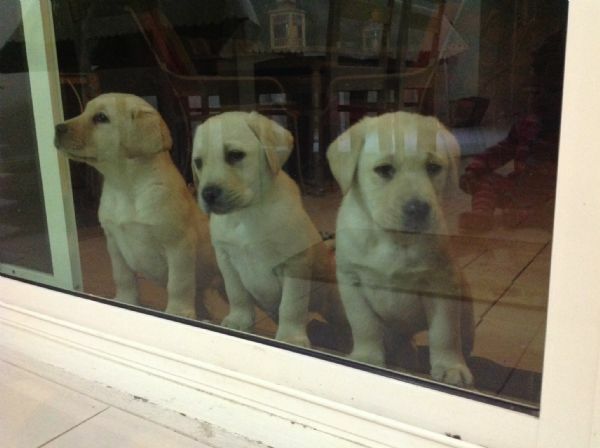 Where are you guys off to!!! !